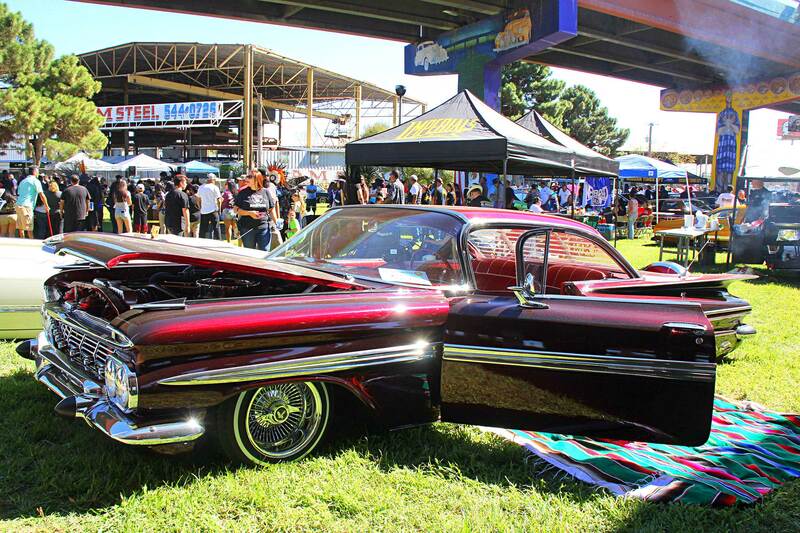 Waking up to get ready for any show is difficult. 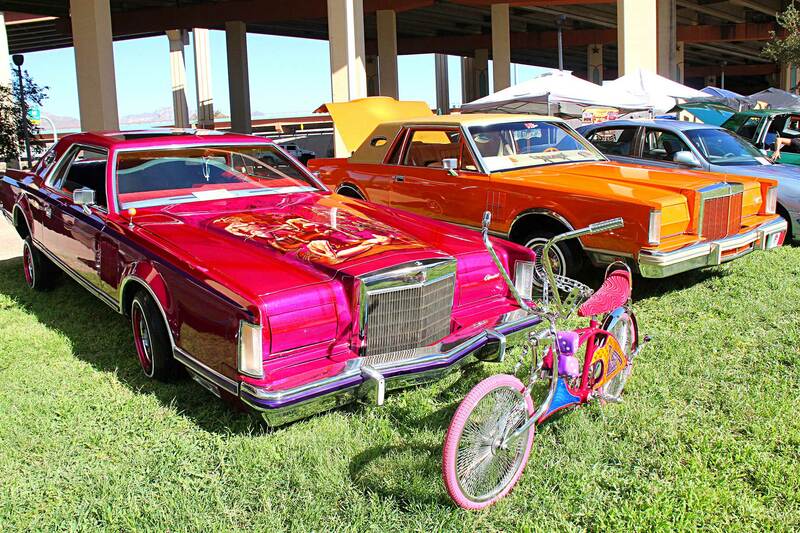 You spend the first 10 minutes blindly gathering everything you need, then frantically search high and low for the nearest caffeine fix. 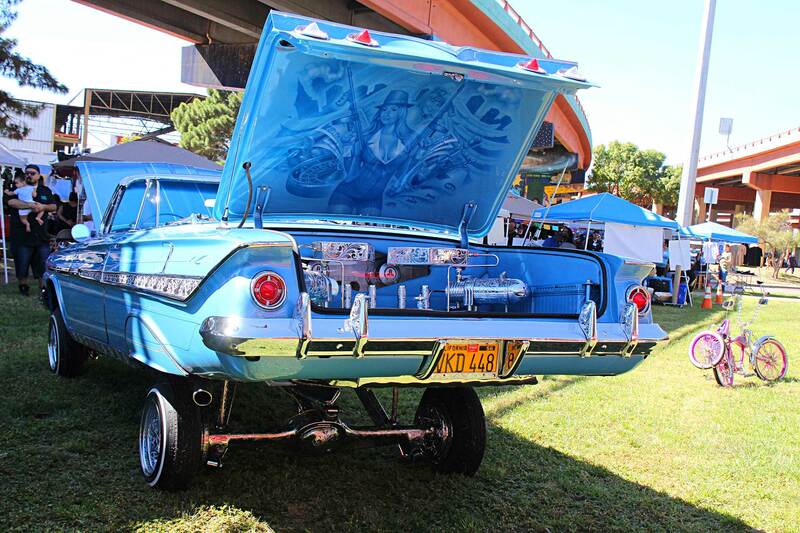 But it all gets better-and fast. 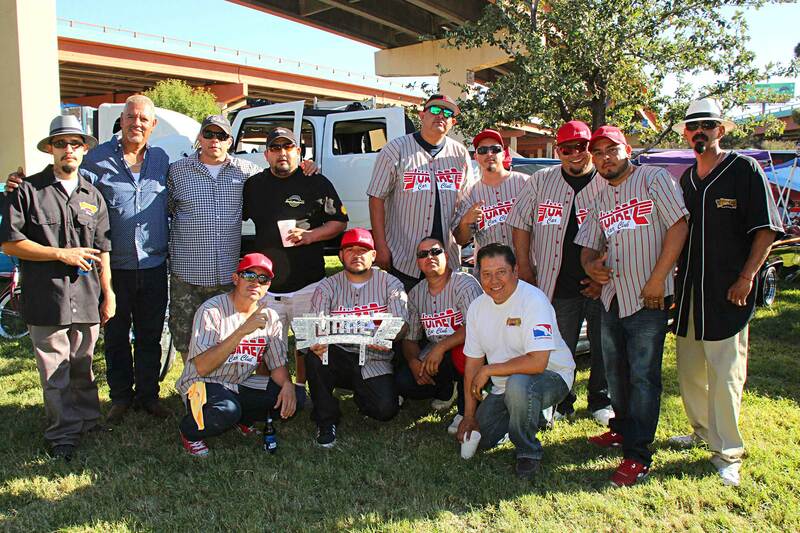 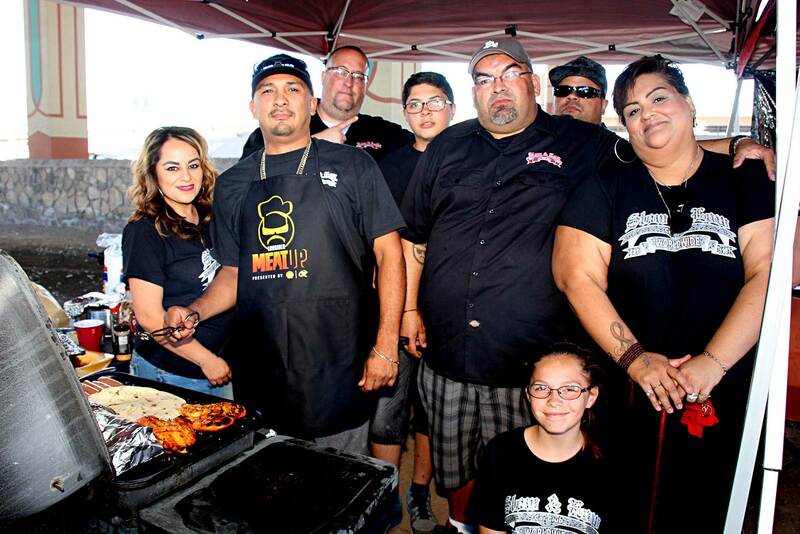 The minute you get to the location a surge of energy replaces those lethargic feelings, and you become overwhelmed by warm greetings and smiling faces, and this Meat Up in El Paso, Texas, was no different. 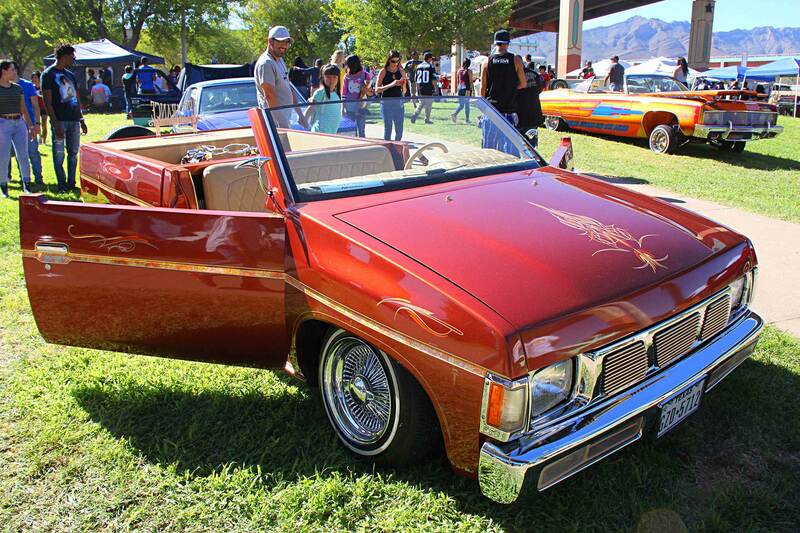 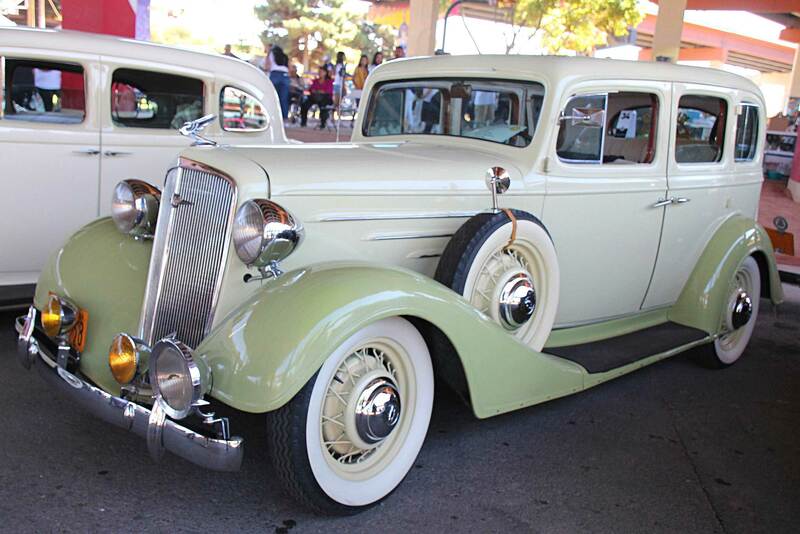 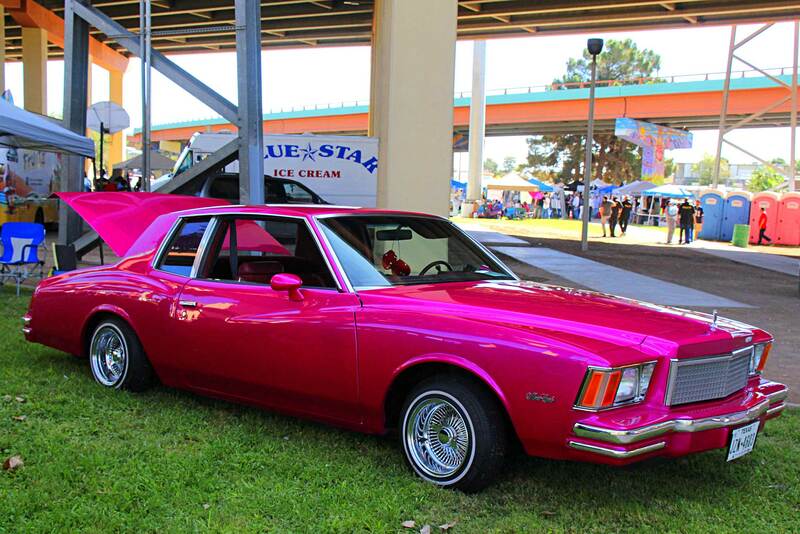 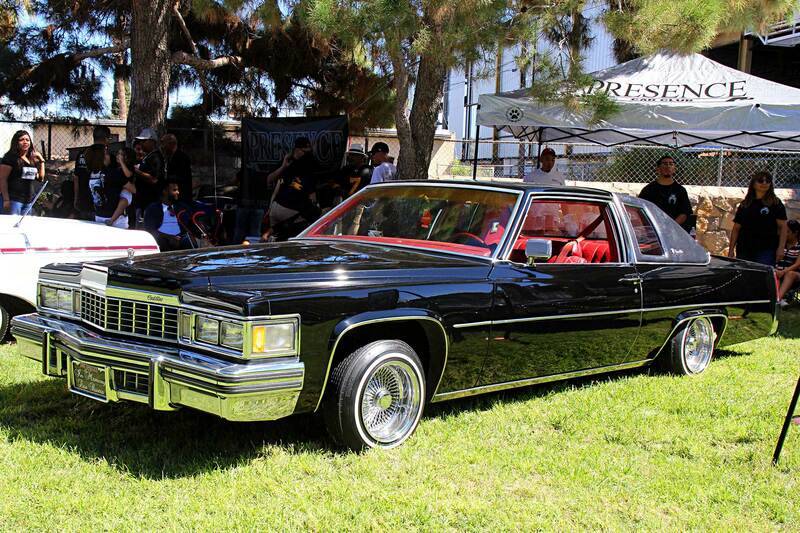 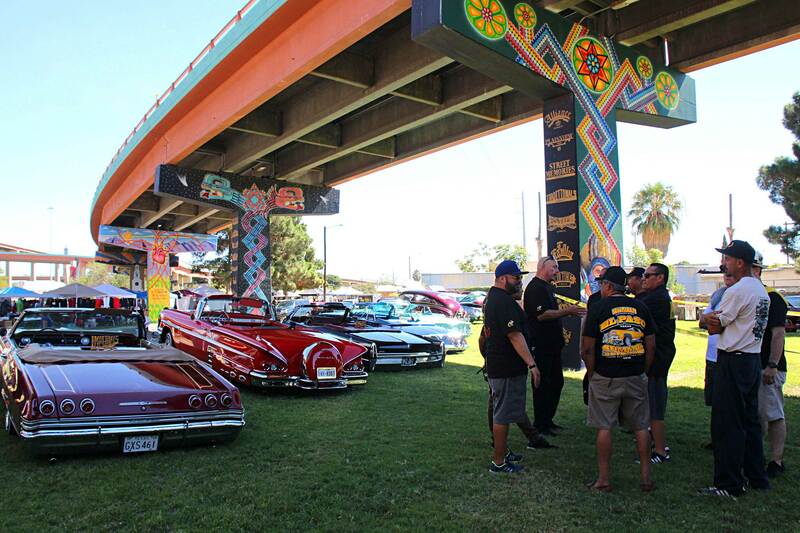 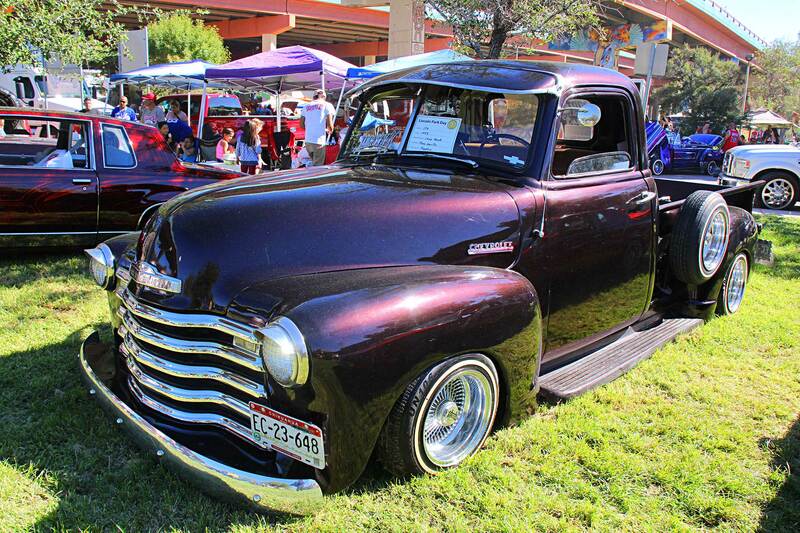 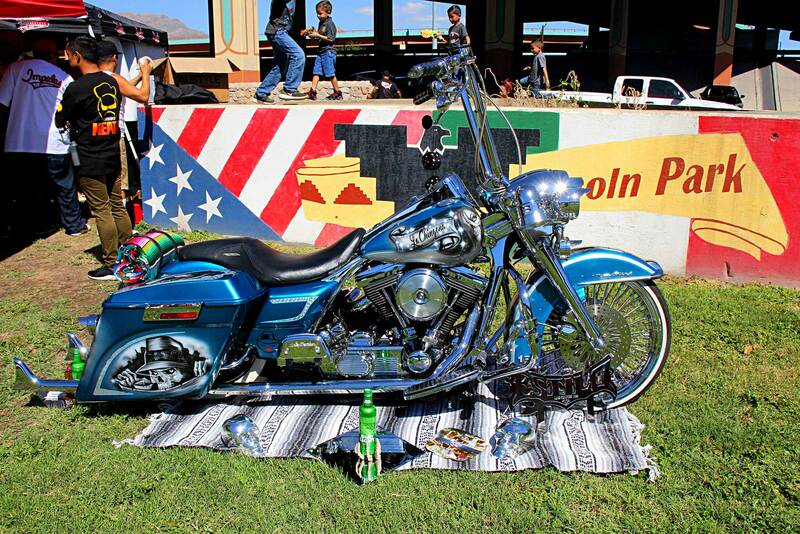 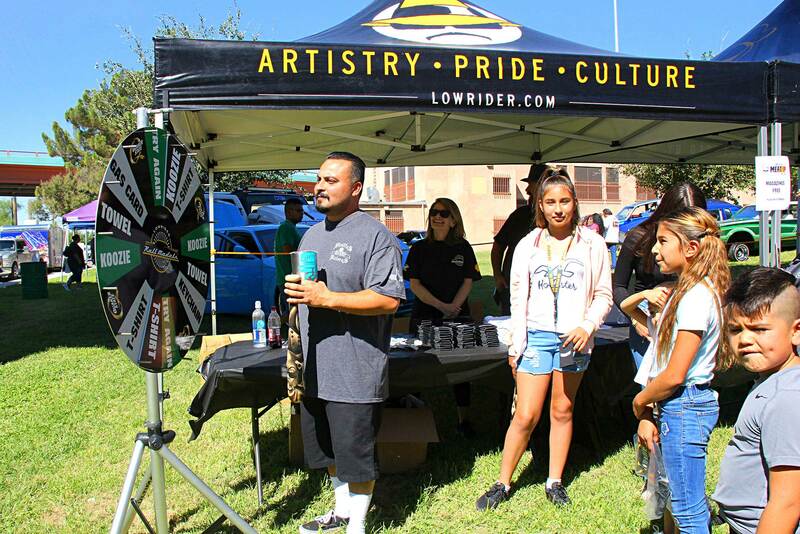 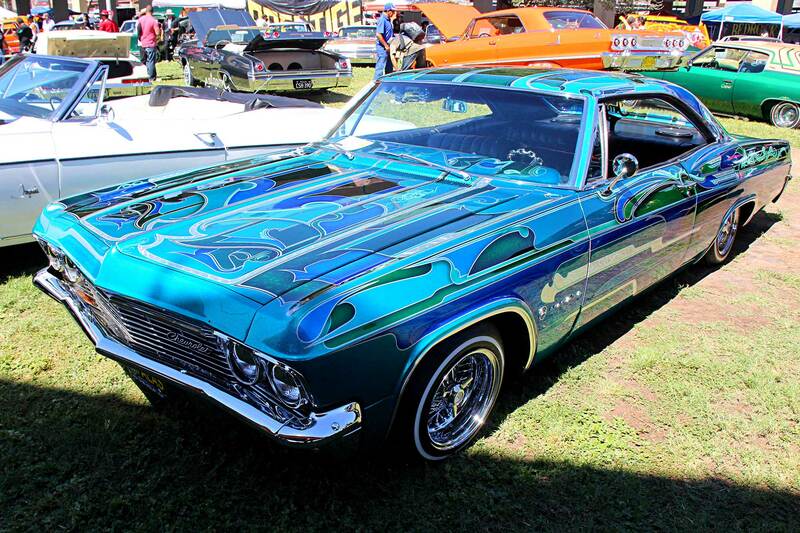 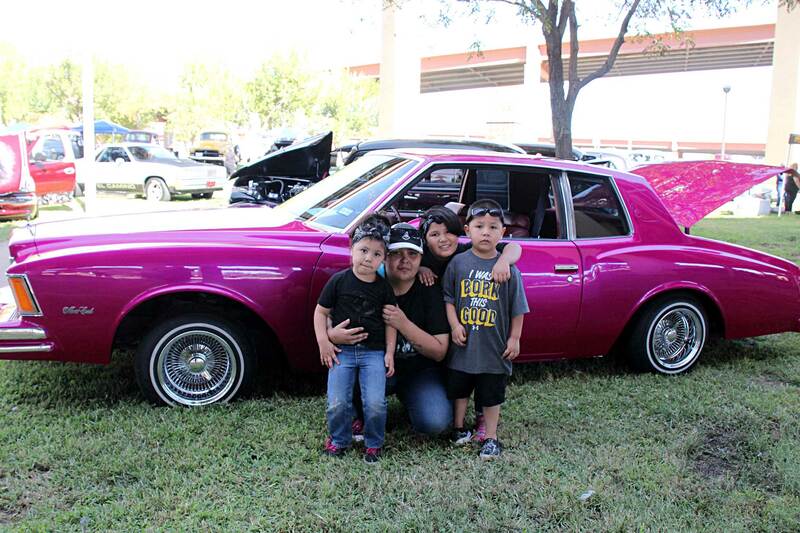 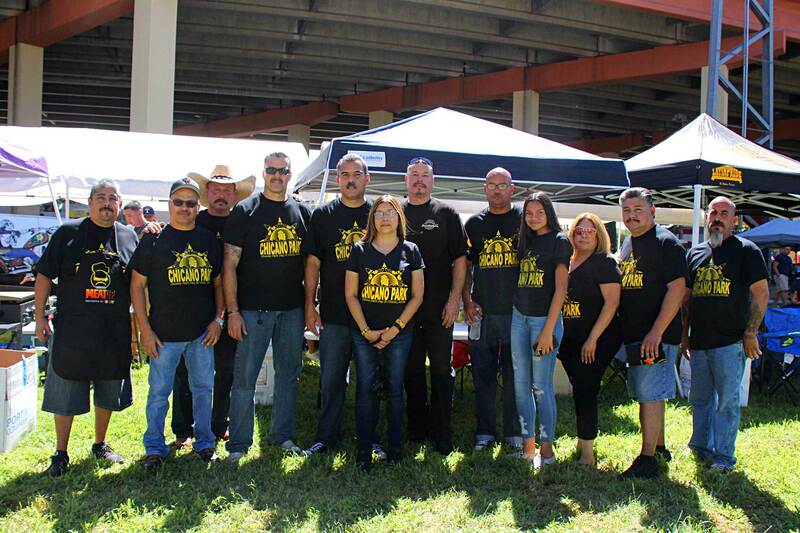 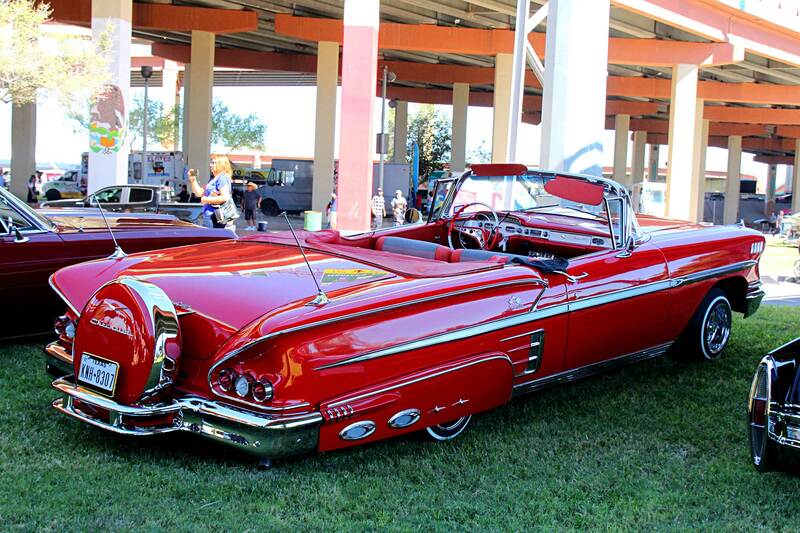 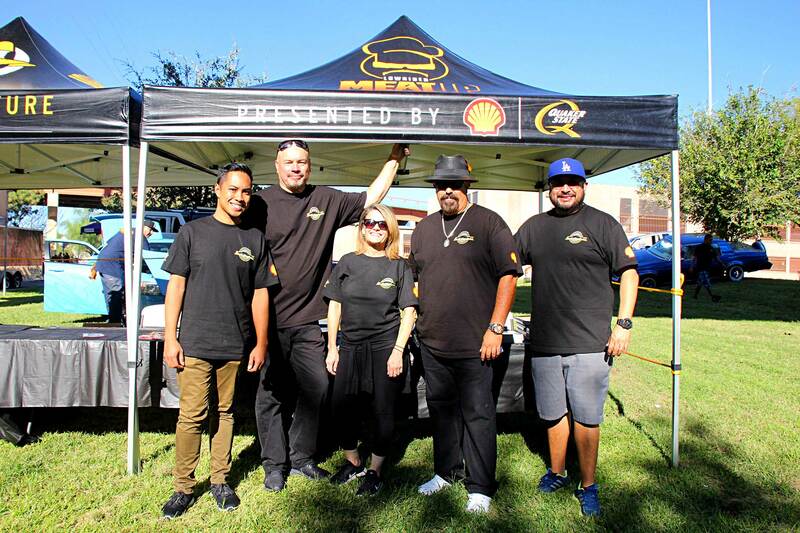 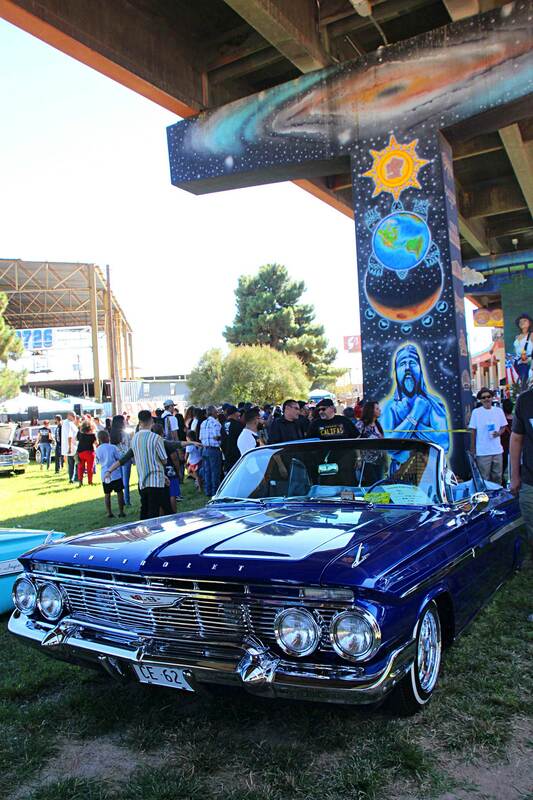 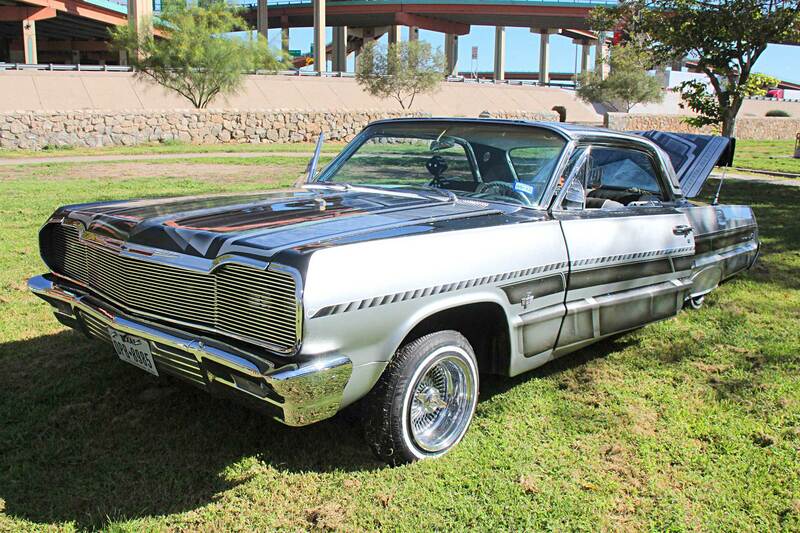 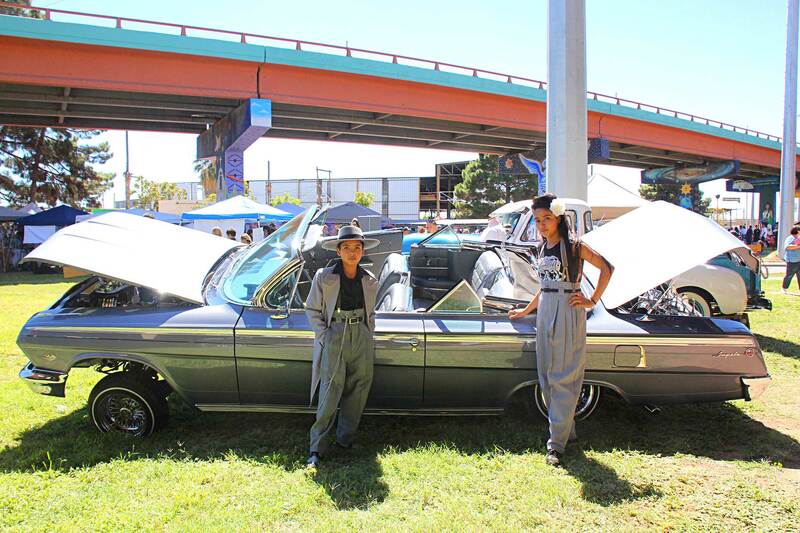 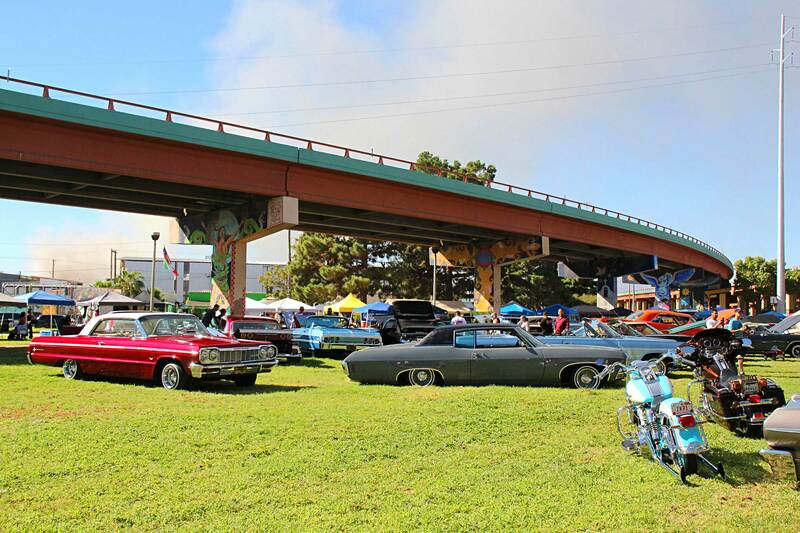 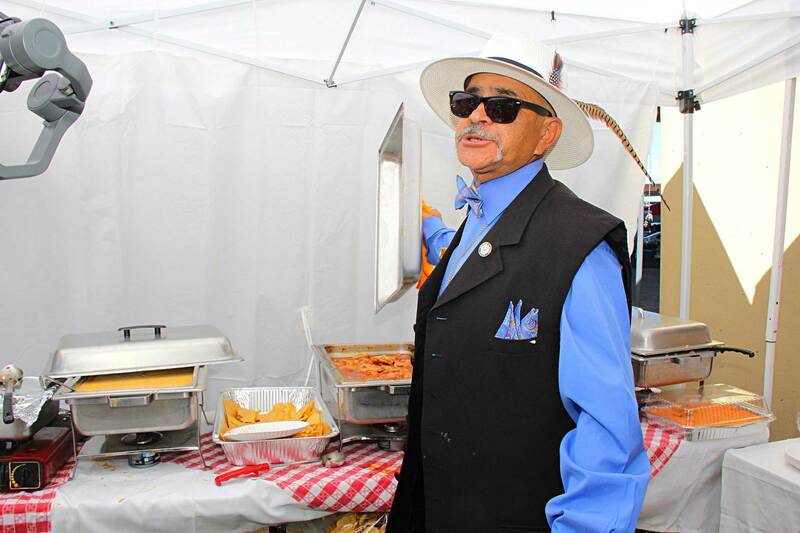 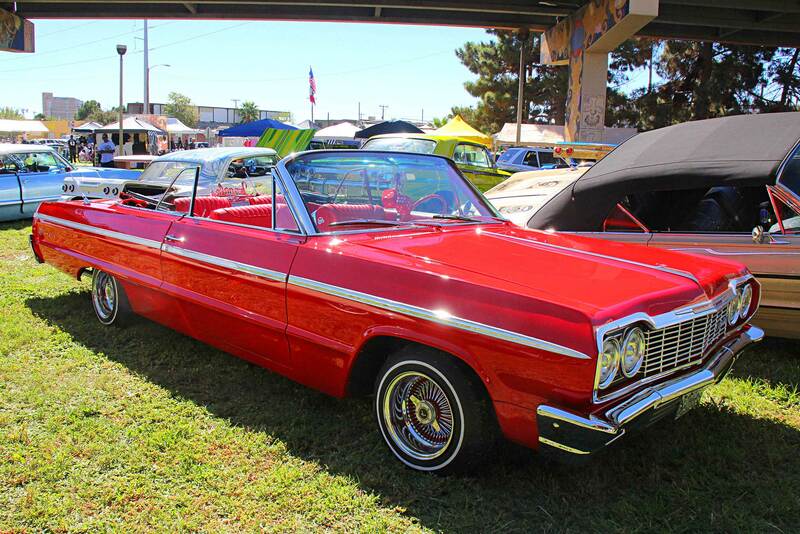 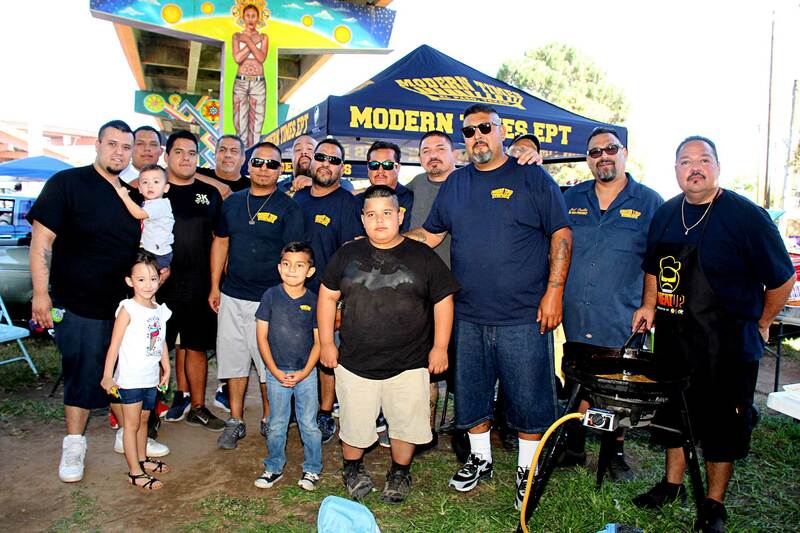 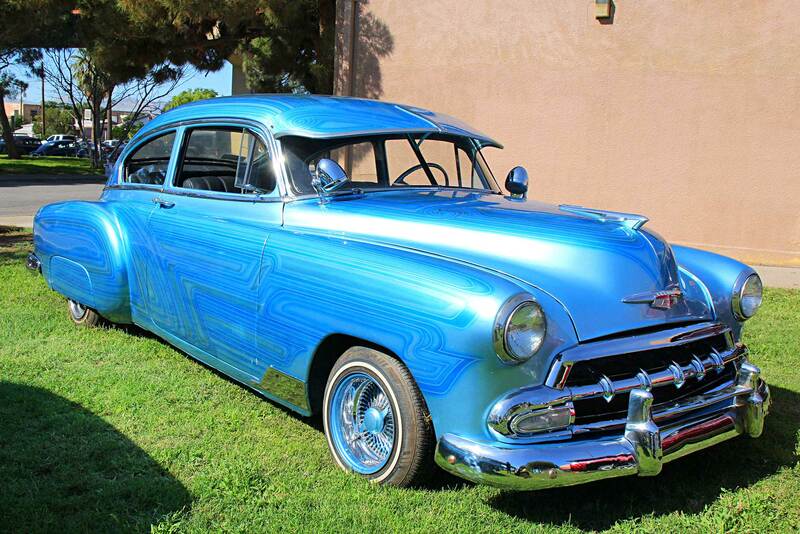 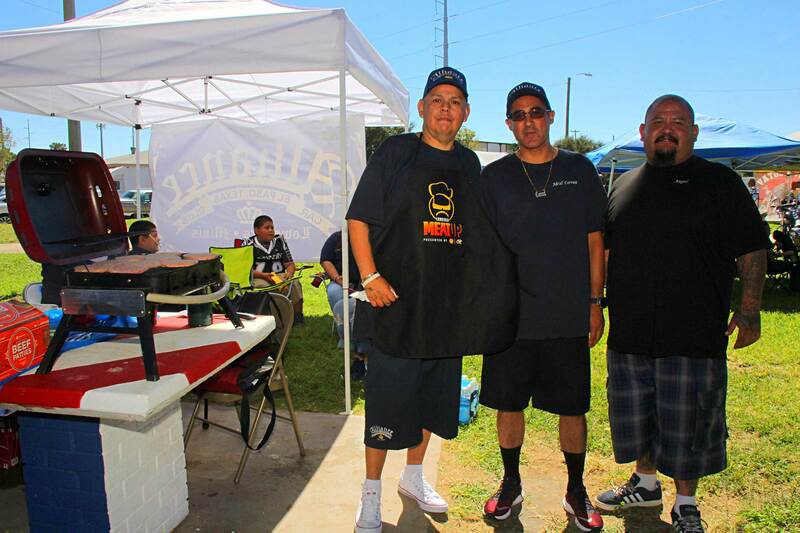 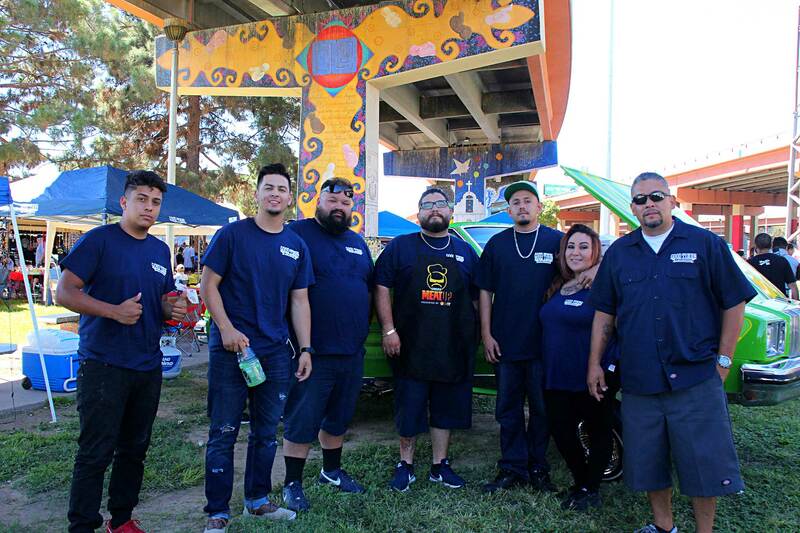 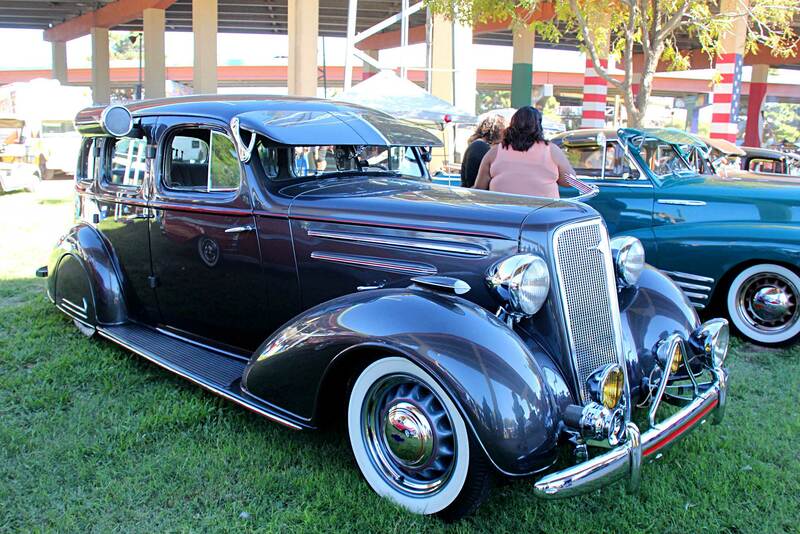 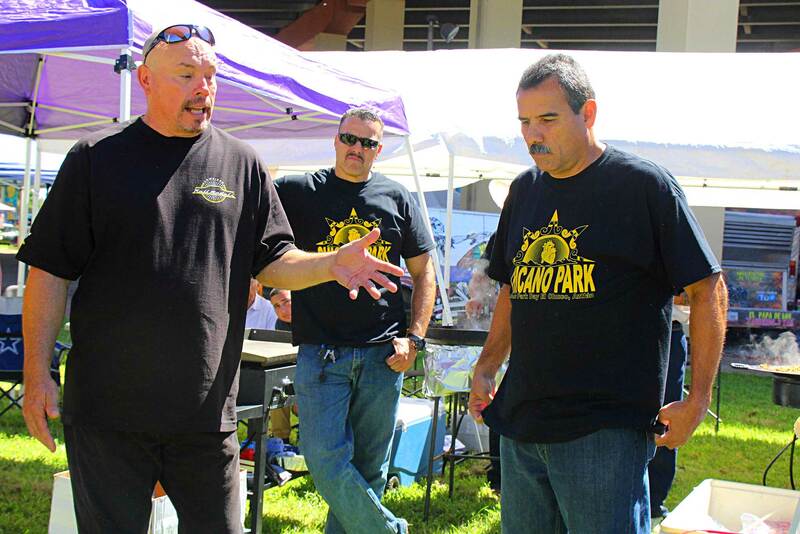 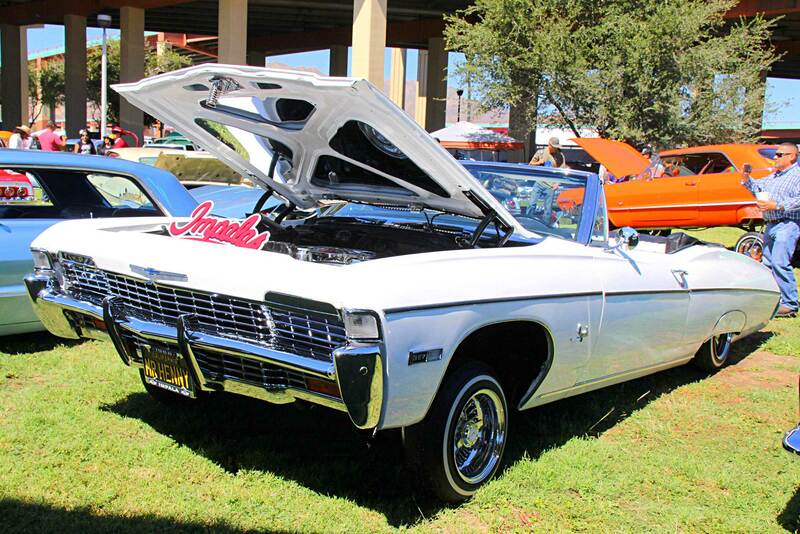 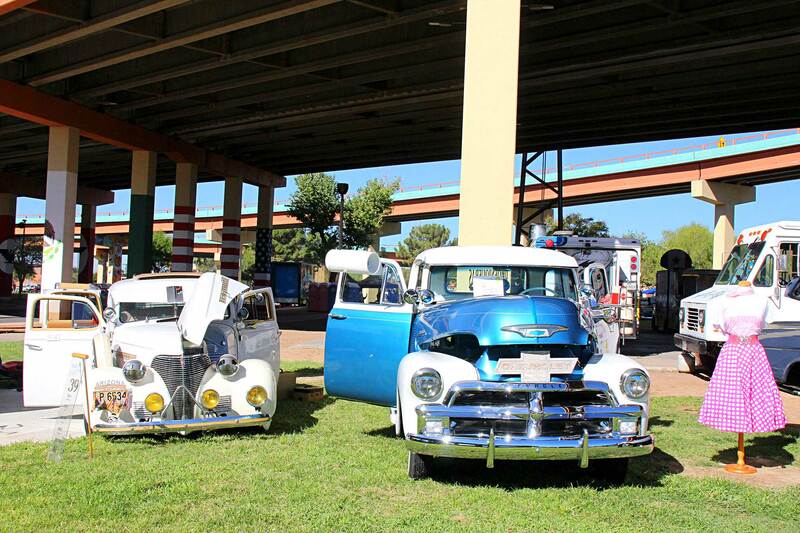 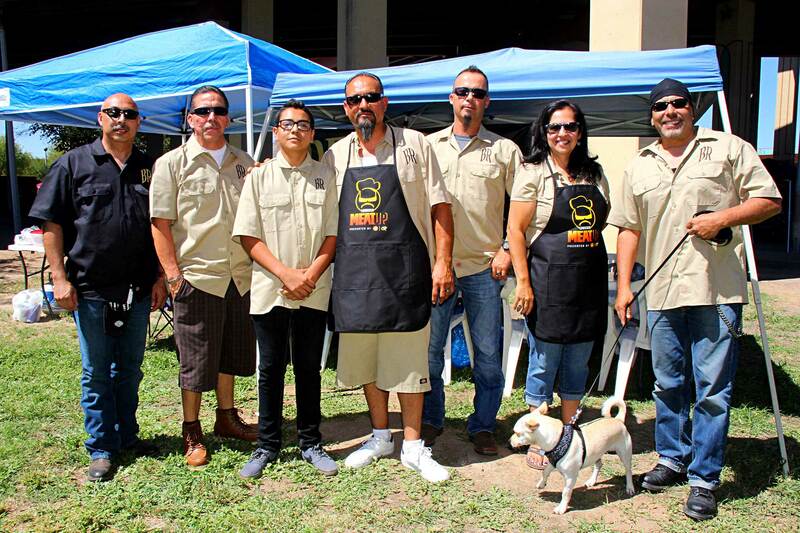 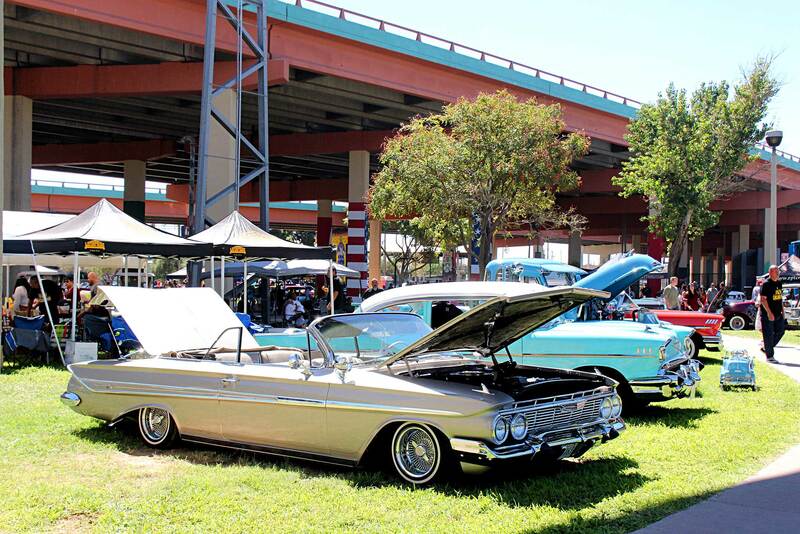 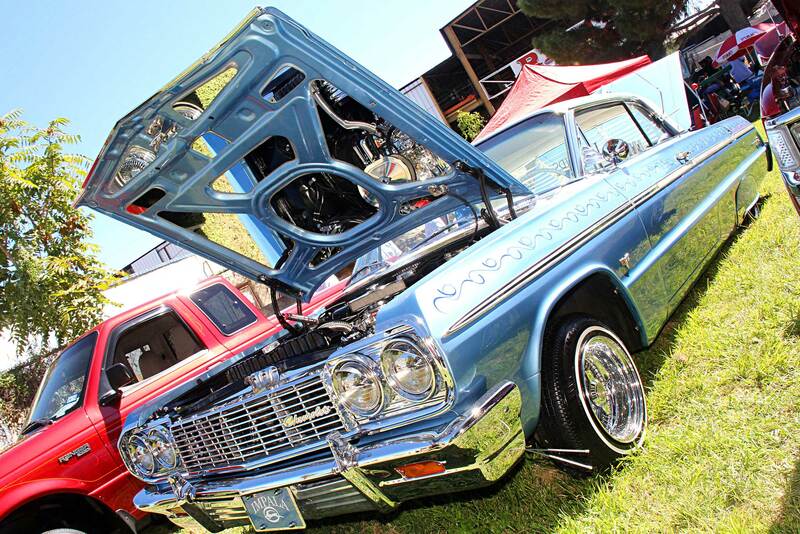 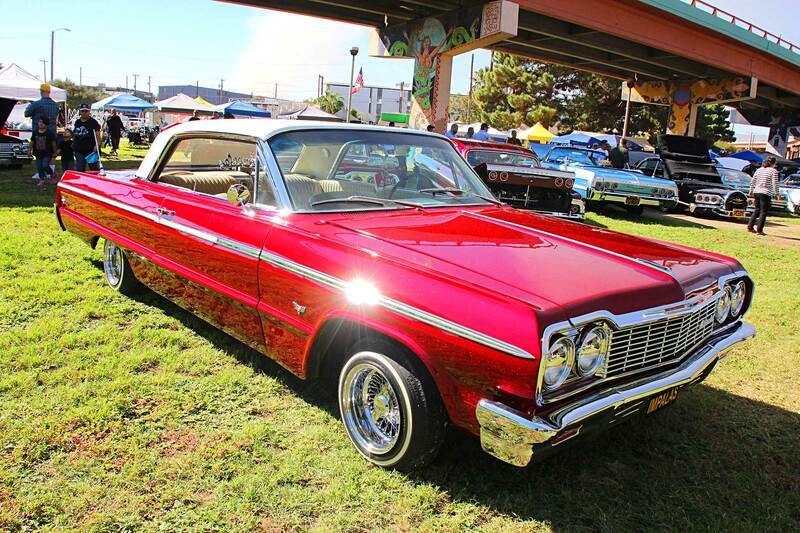 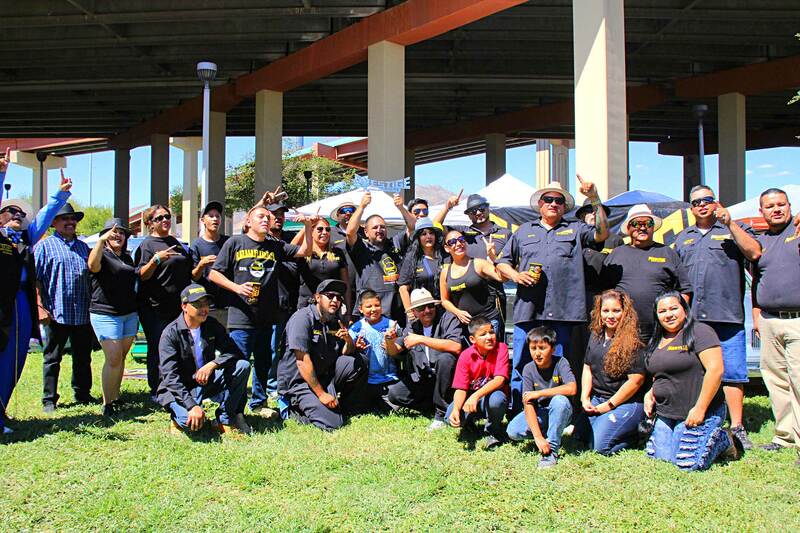 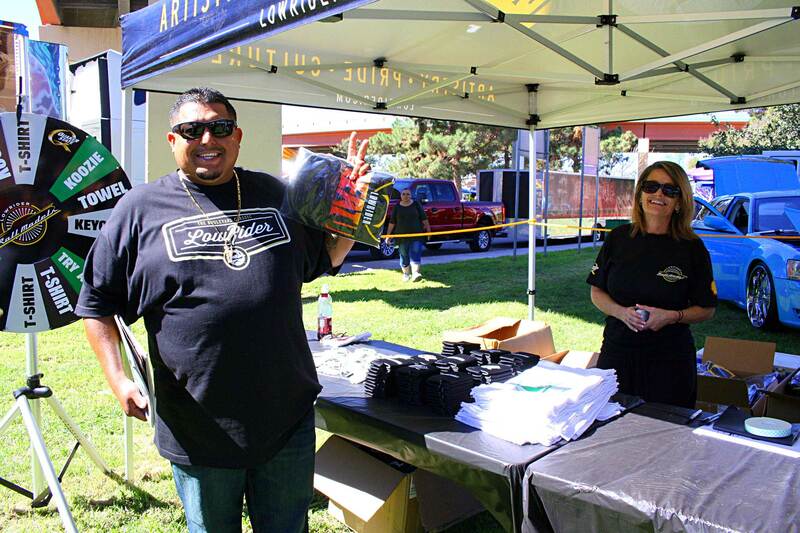 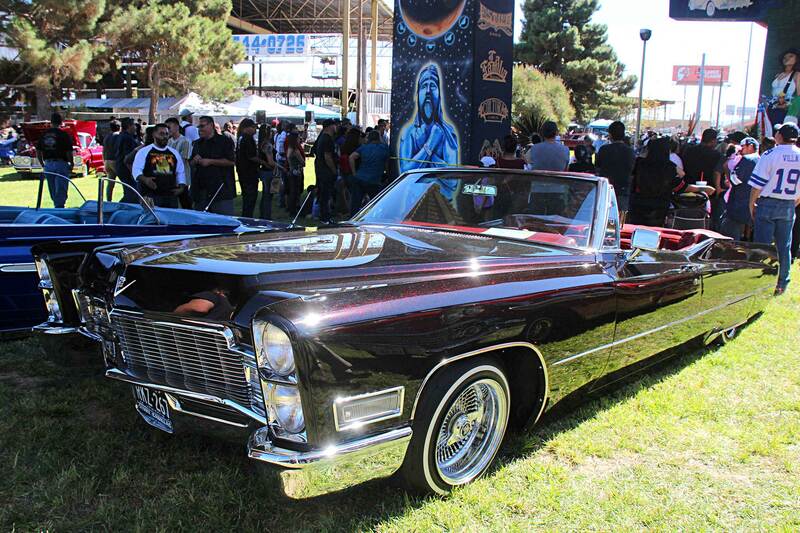 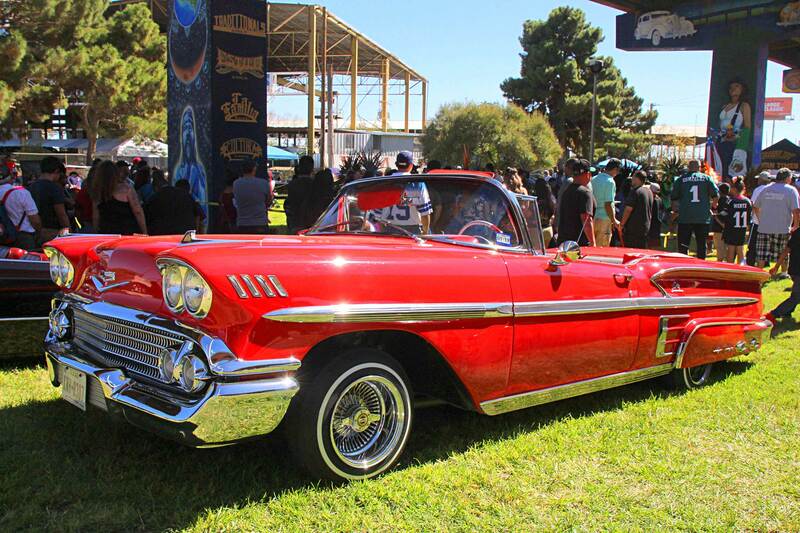 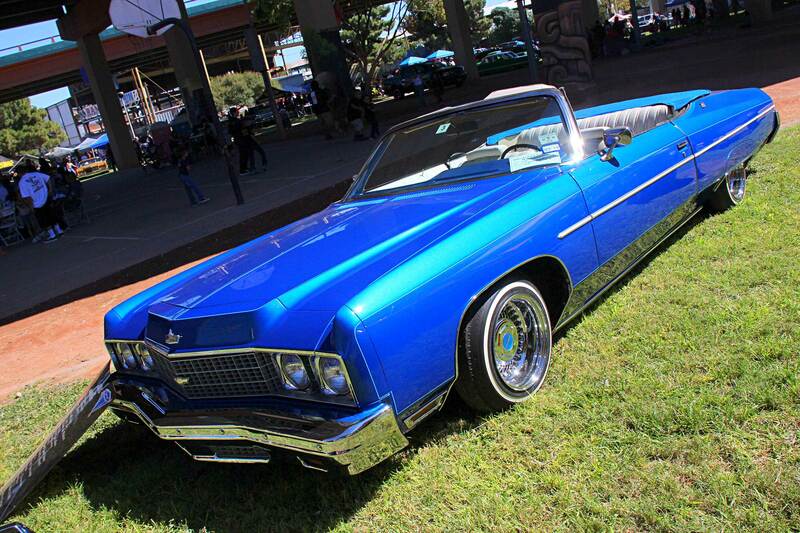 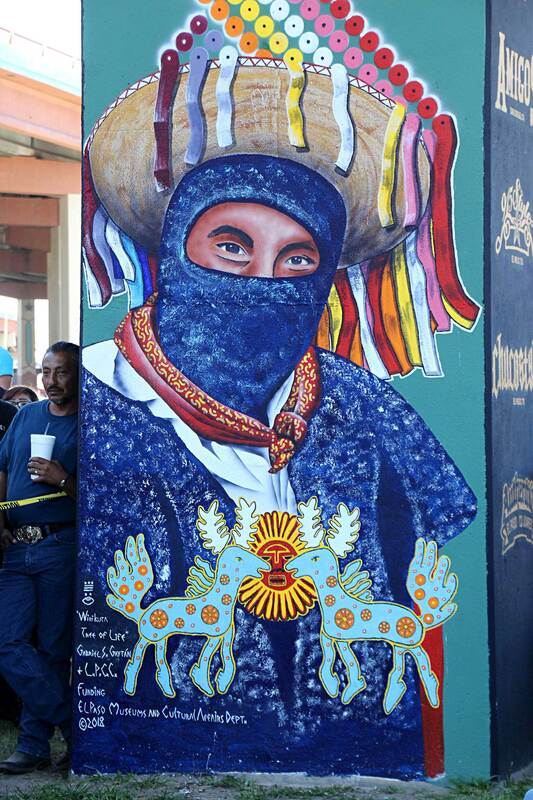 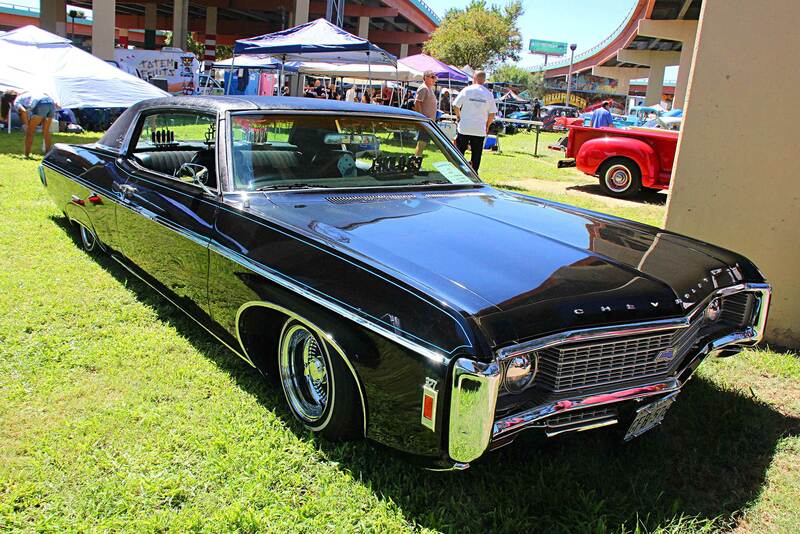 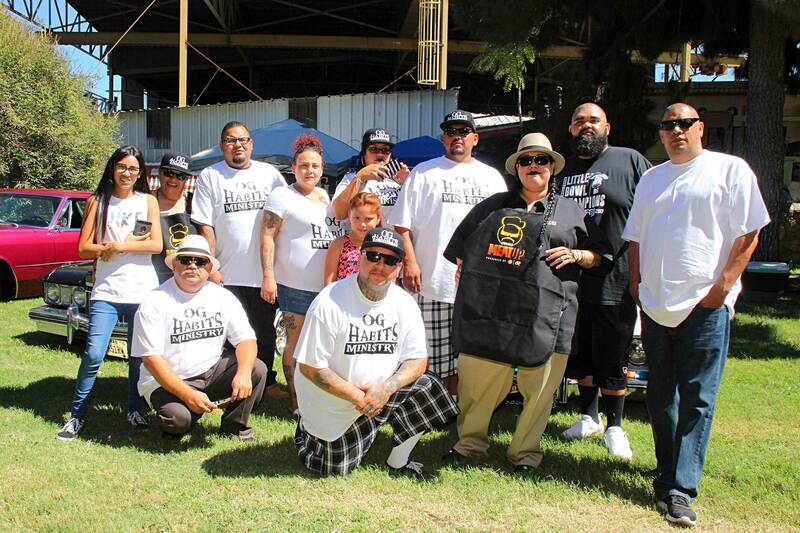 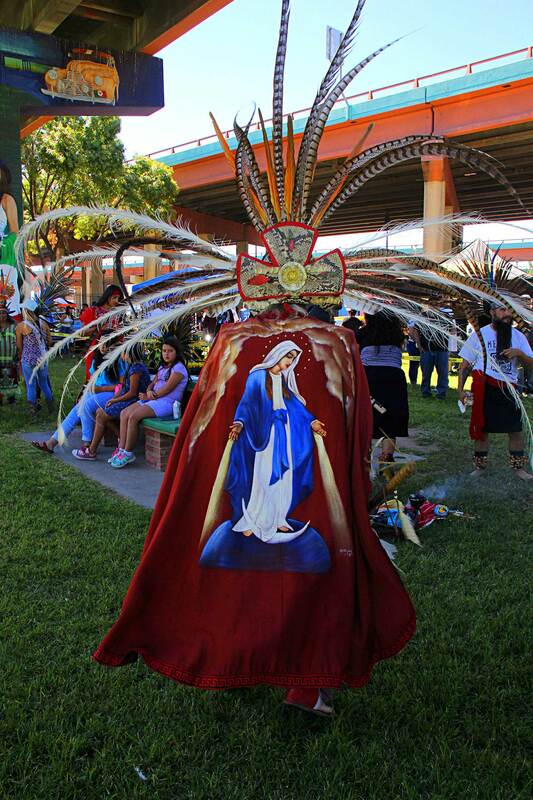 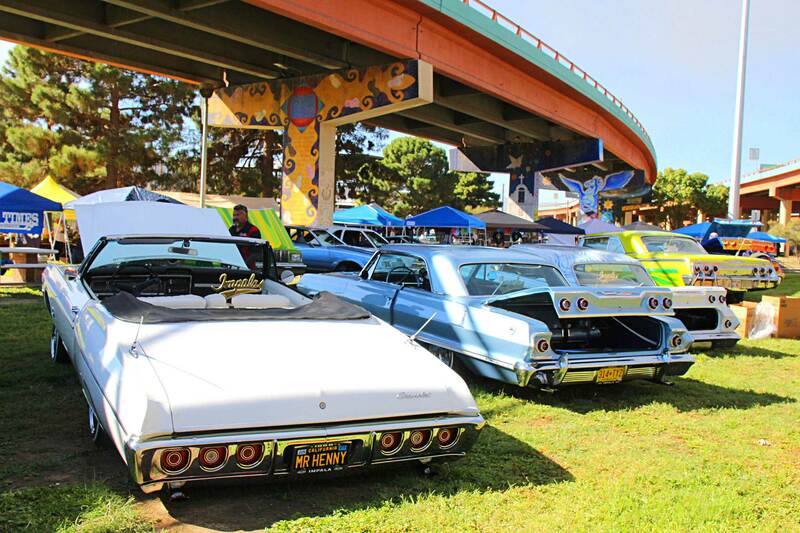 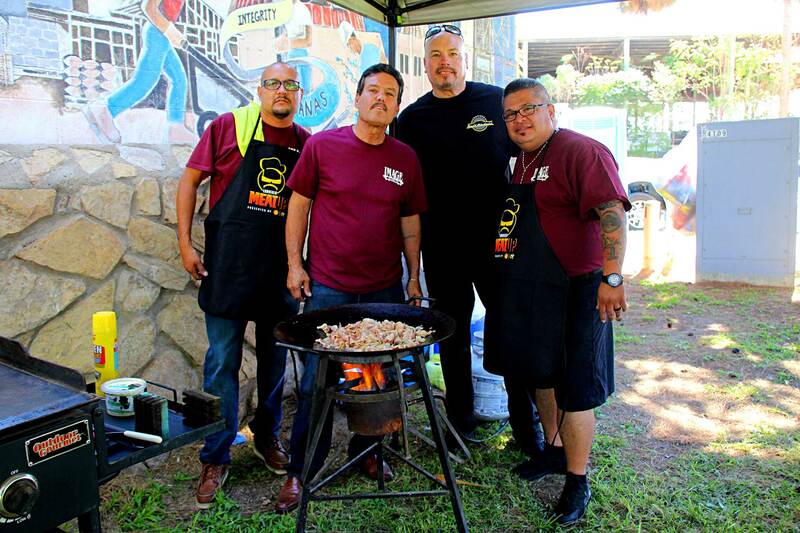 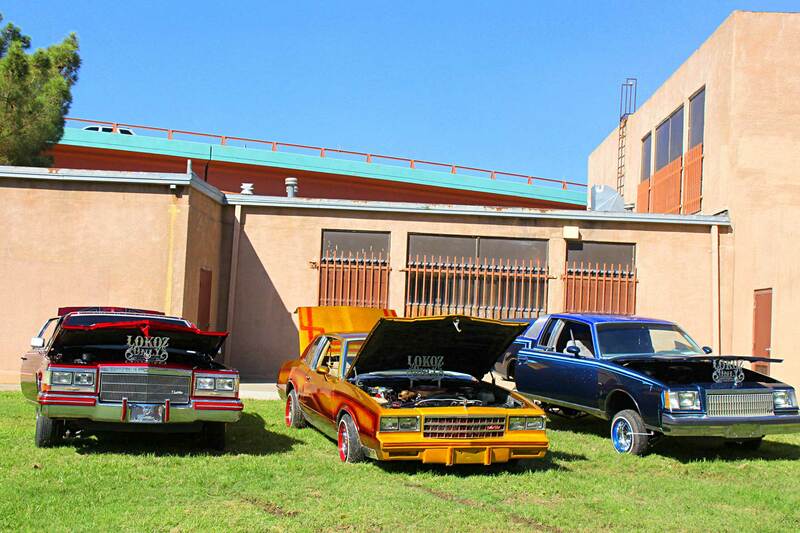 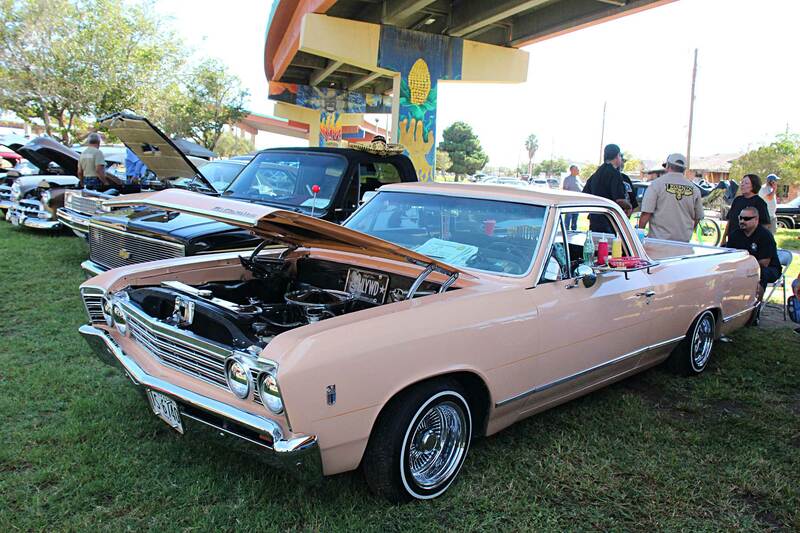 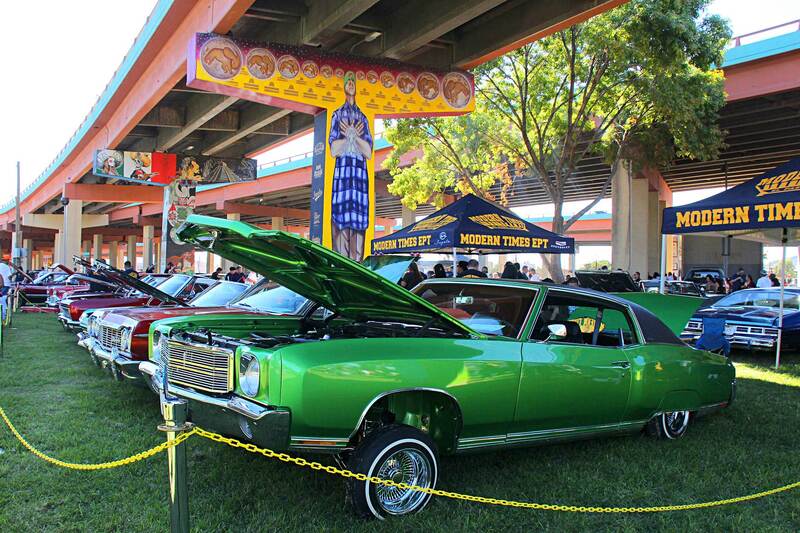 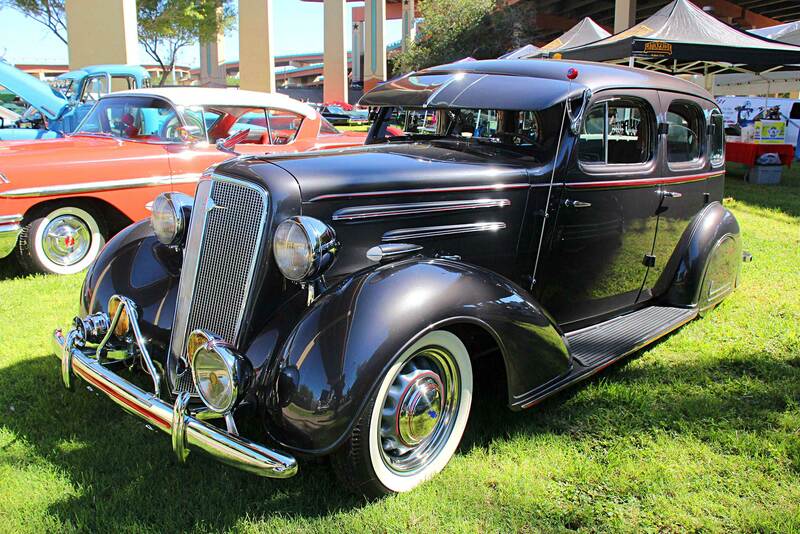 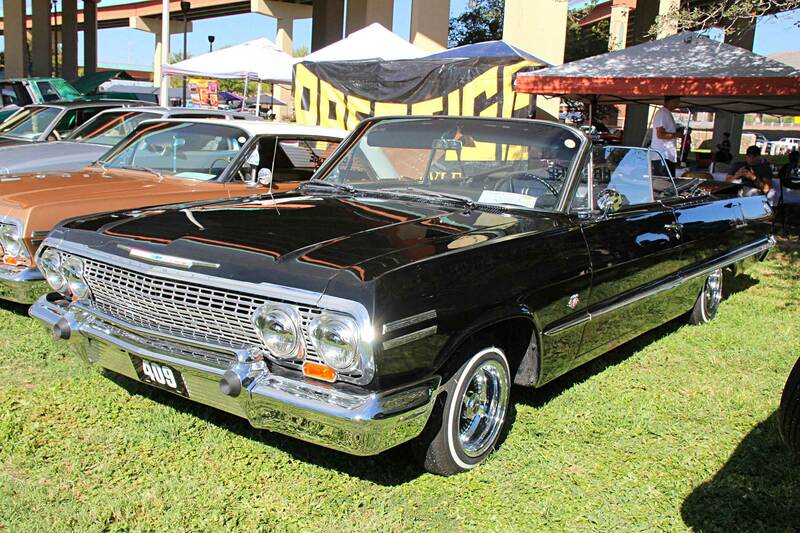 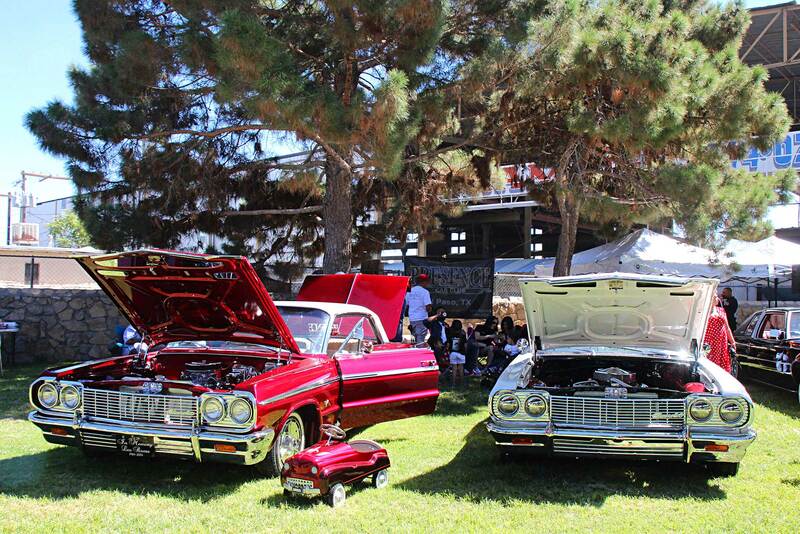 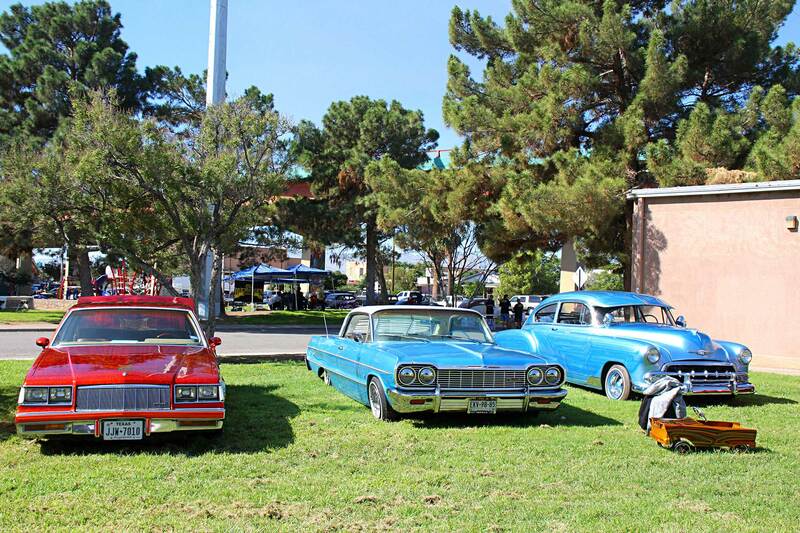 The annual Lincoln Park Chicano Art & Car Show is a collaborative effort between Hector Gonzalez, Latin Pride Car Club, and the Lincoln Park conservation committee. 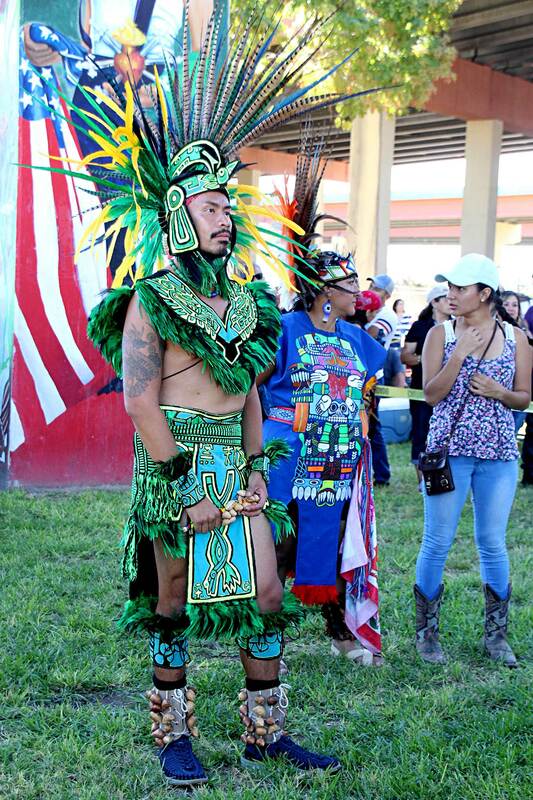 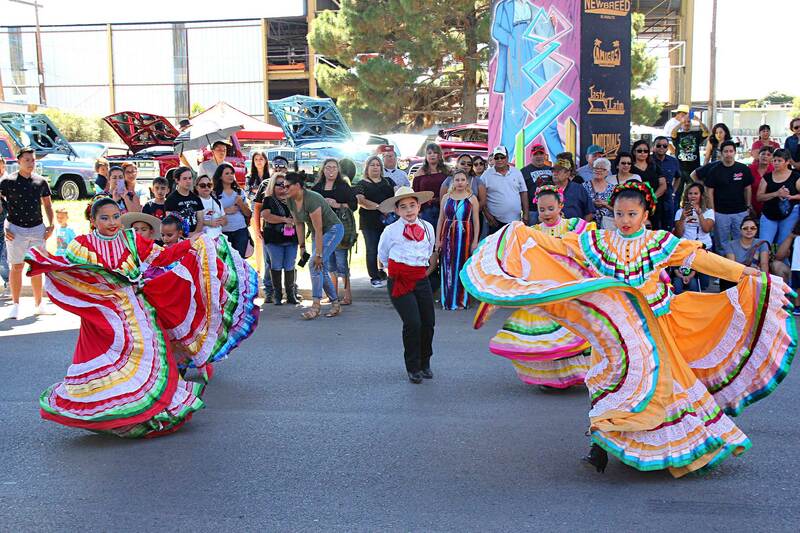 This trio is responsible for spearheading the annual festival, which celebrates Mexican-American, Chicano, and indigenous cultures of the area and pays homage to the deep-rooted history and traditions of the city, highlighted by live music and over 500 show vehicles. 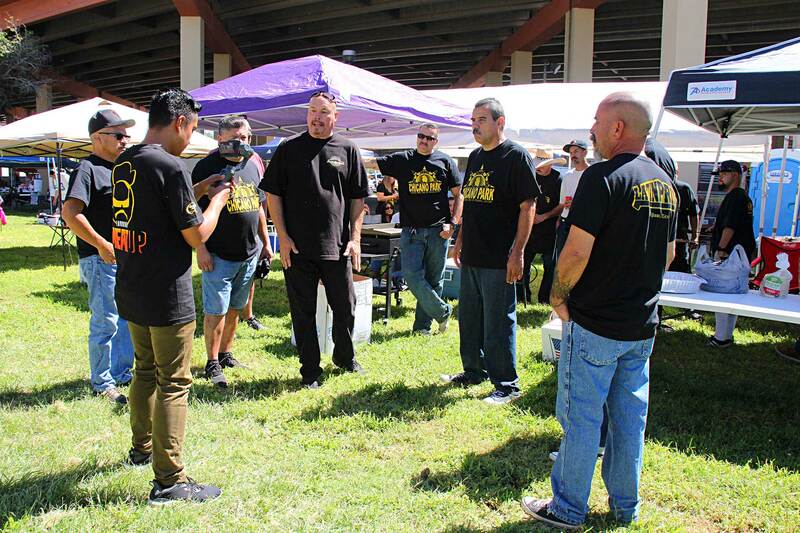 Participants flock from all over the country and travel from as far as Los Angeles, San Diego, Phoenix, Albuquerque, and Oklahoma City, just to name a few. 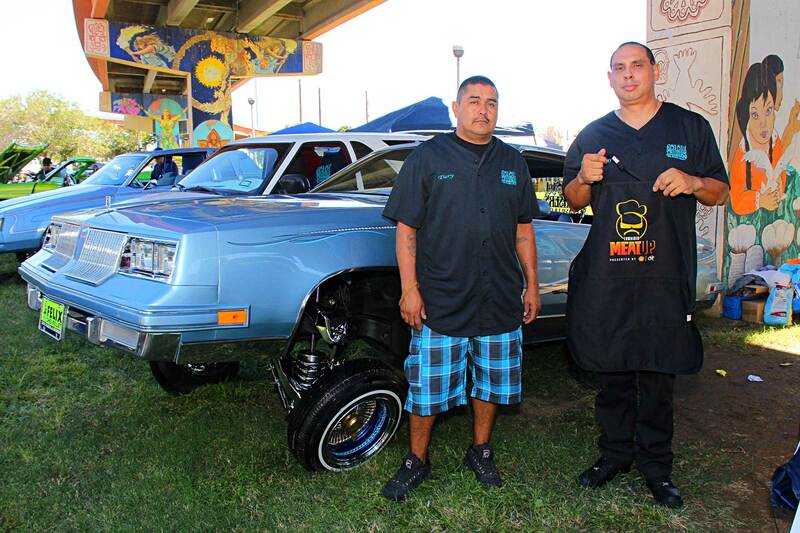 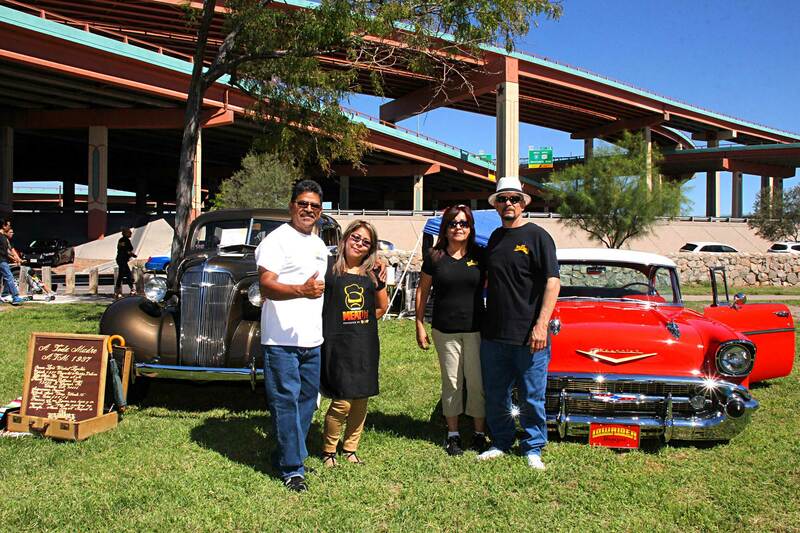 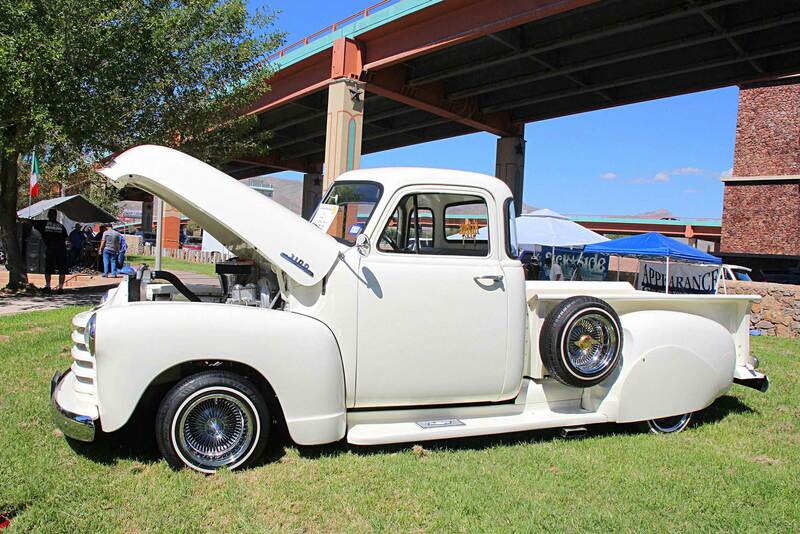 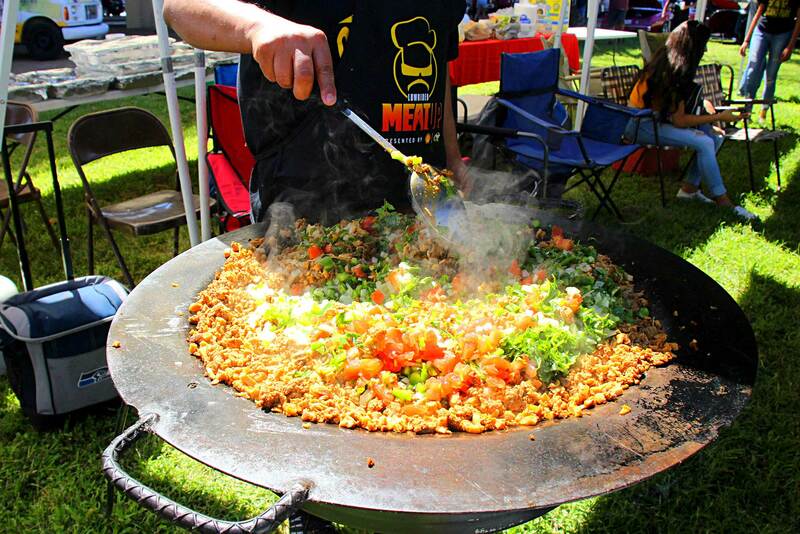 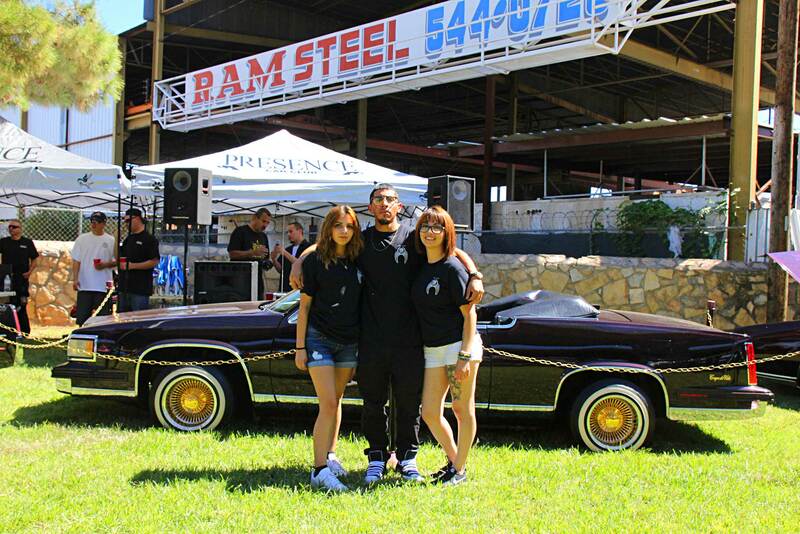 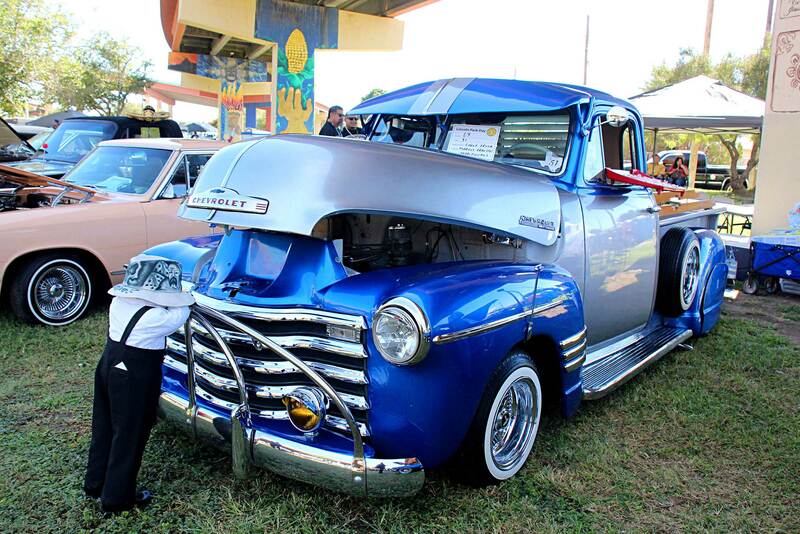 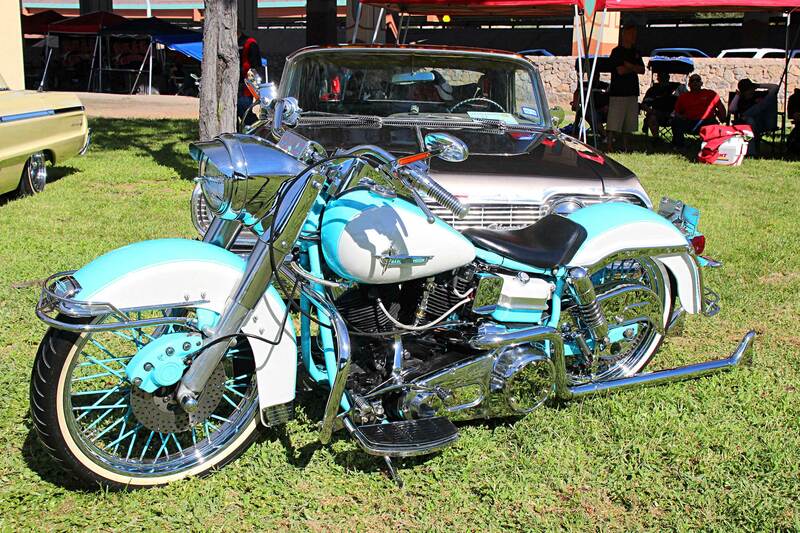 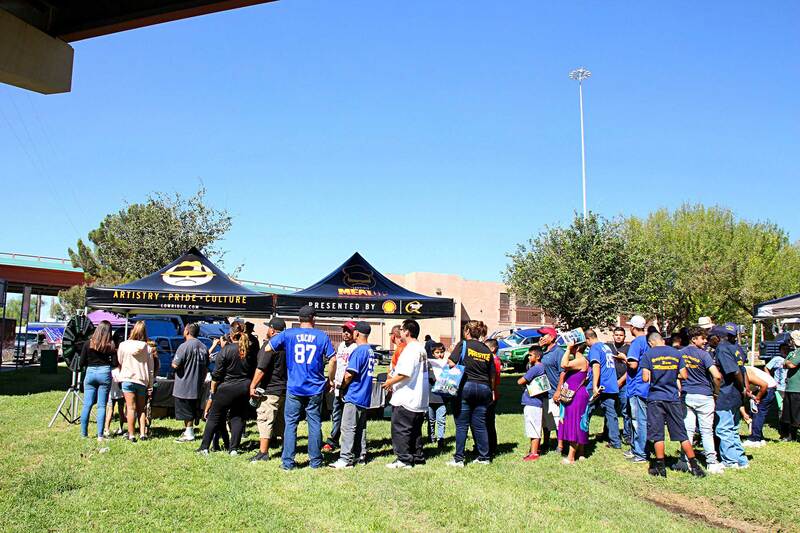 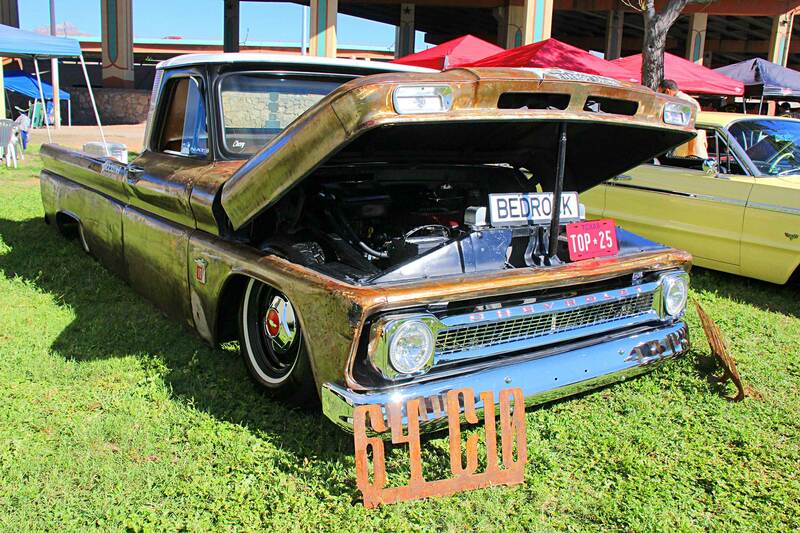 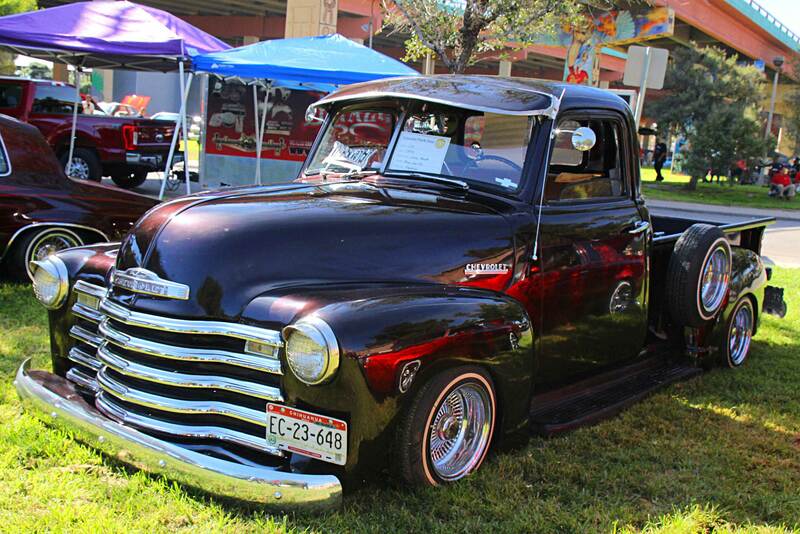 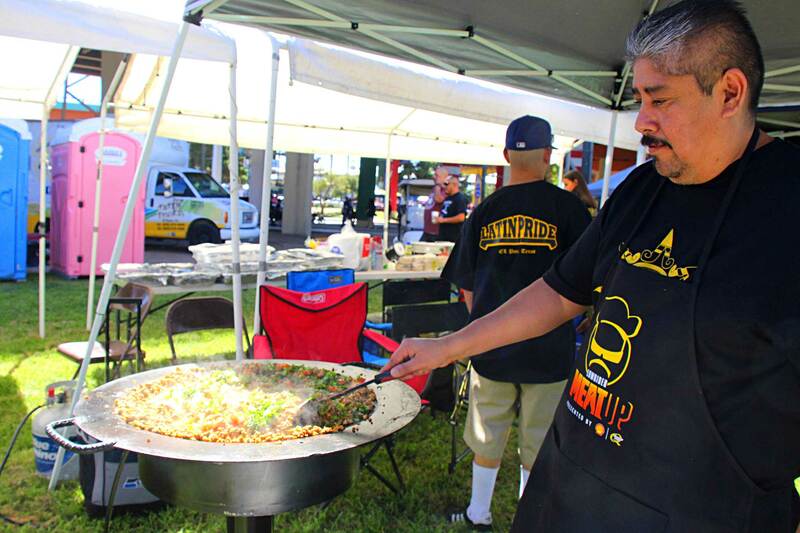 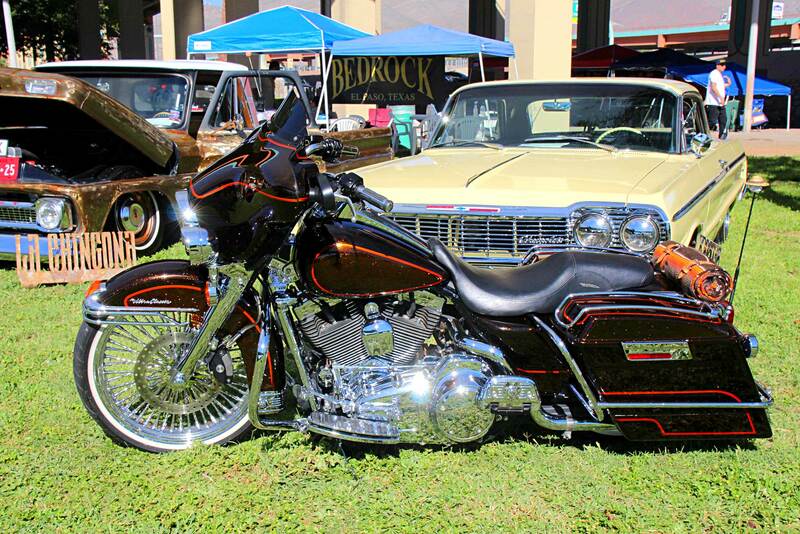 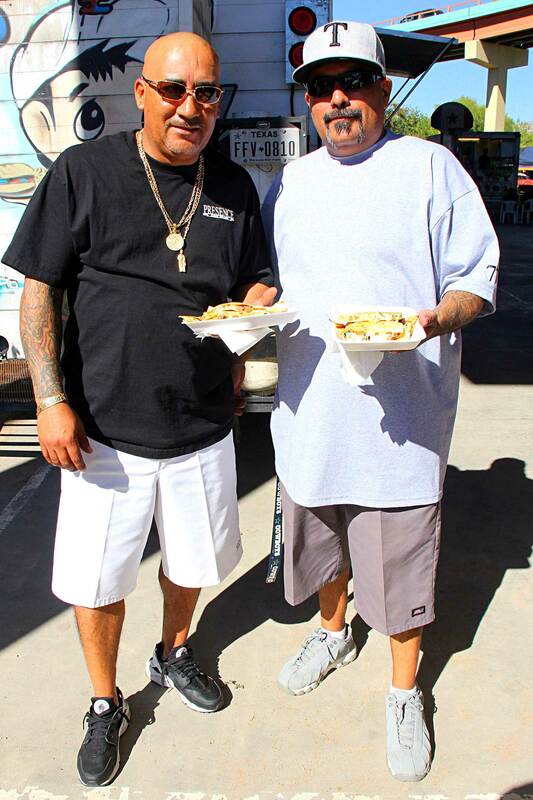 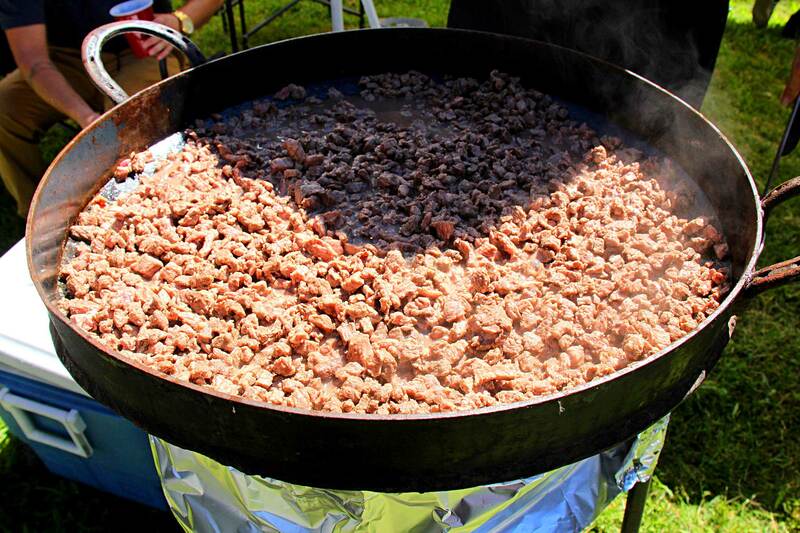 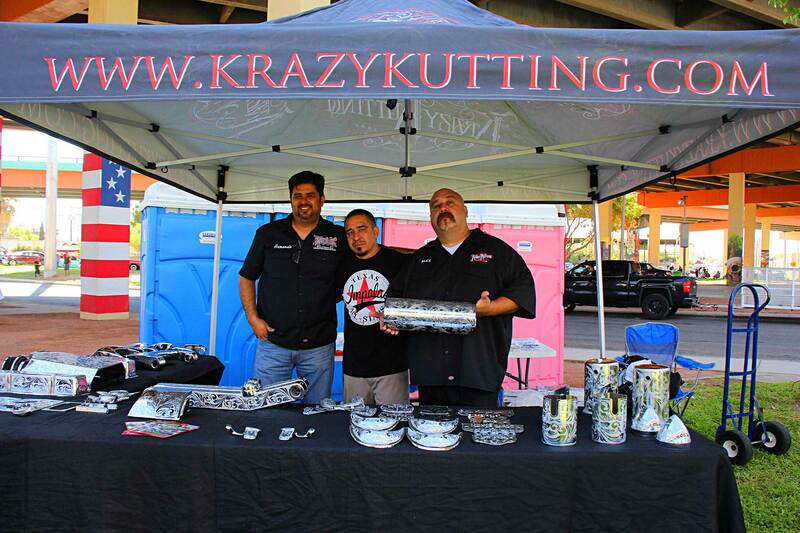 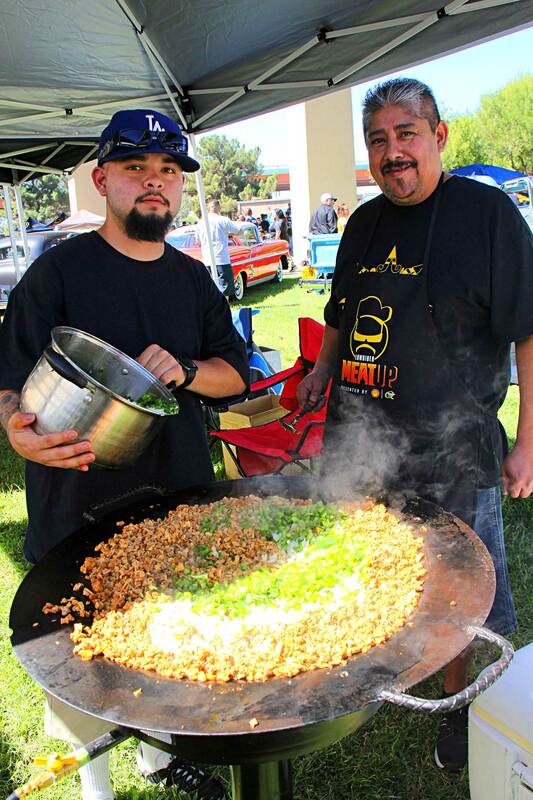 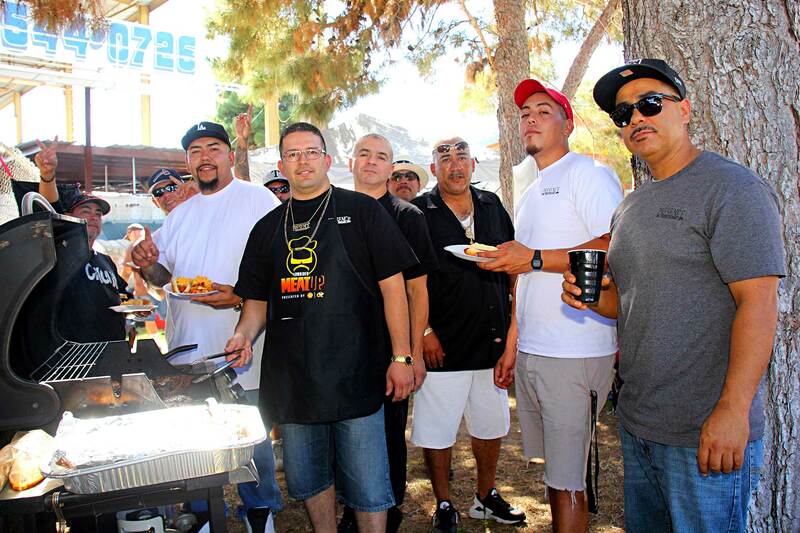 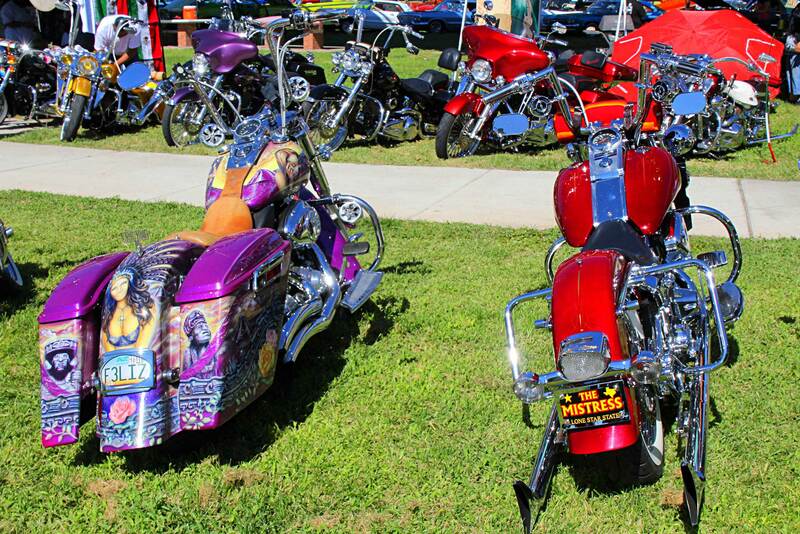 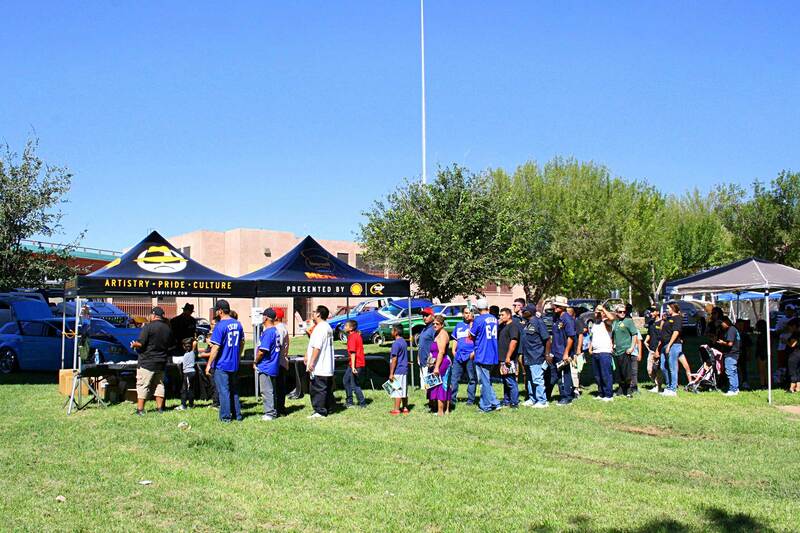 The daylong event brought together roughly 5,000 attendees to fill their appetites for lowriding and secret recipes. 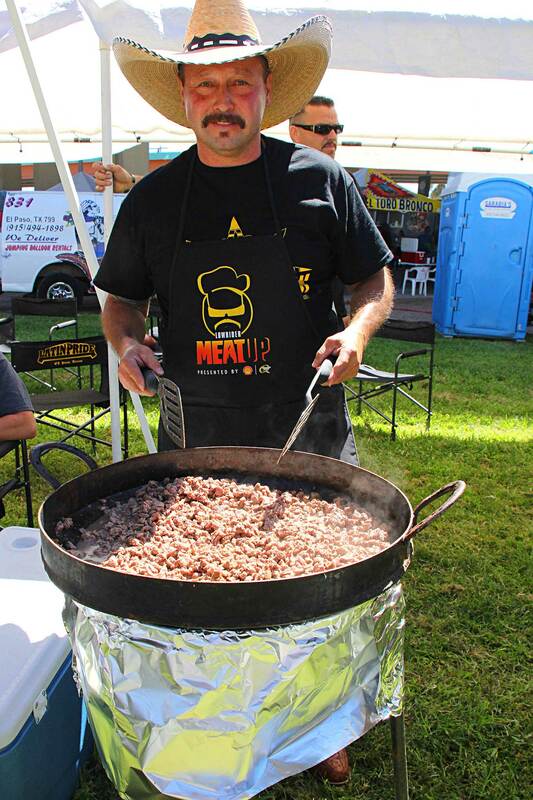 You see, the Meat Up series was inspired by the good old days when our form of social media was called meeting up at the park and cueing it with the fellas. 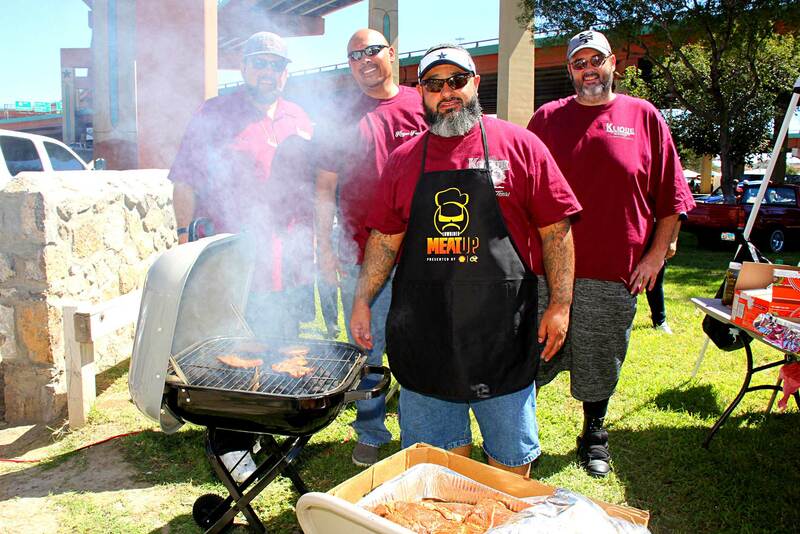 It was a time to celebrate our latest mods, a time to share stories, and stuff ourselves with homemade recipes, and the Meat Up series is just that-except multiplied by 10. 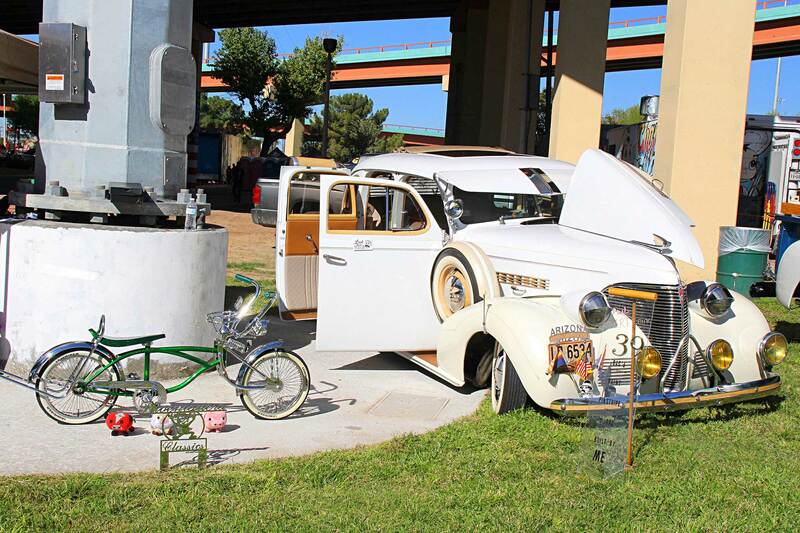 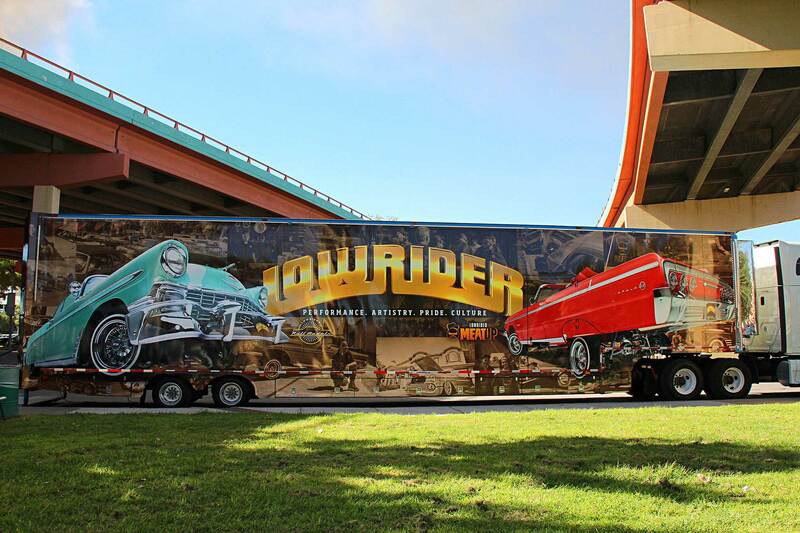 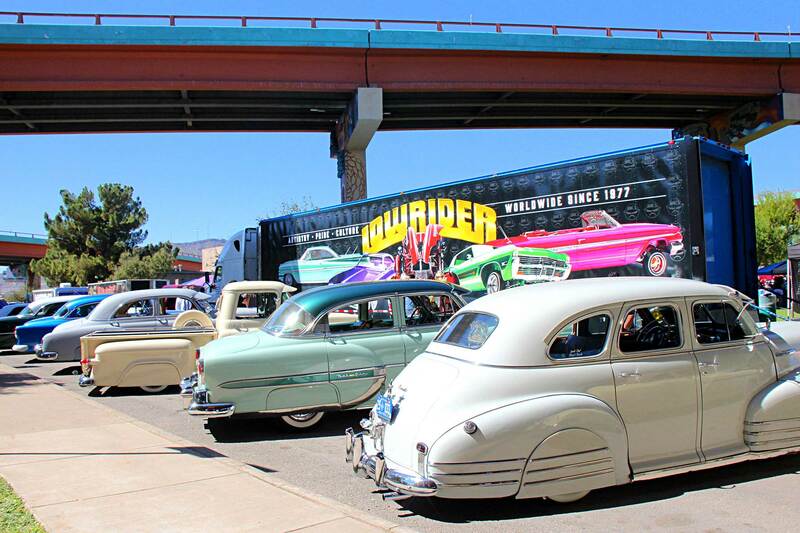 By opening time, Lowrider and Quaker State representatives welcomed the flock of people who came to enjoy, and many were instantly taken back by the newly wrapped Lowrider rig. 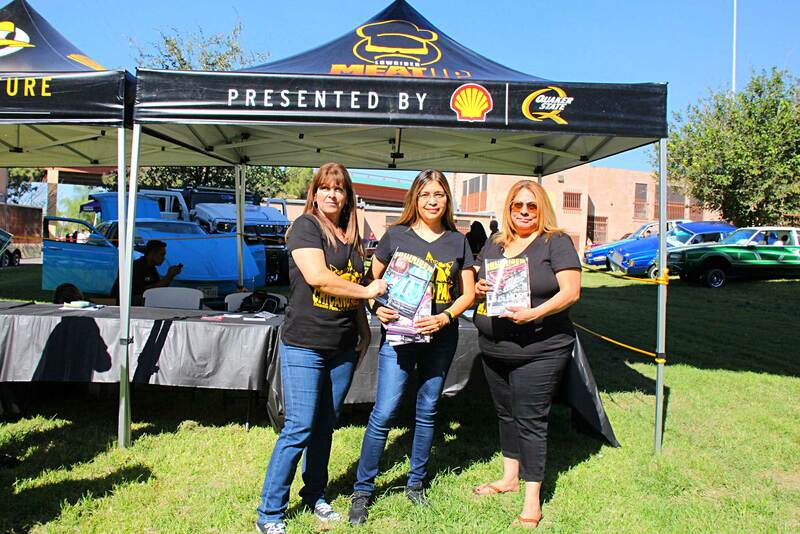 People shuffled straight over to the “Spin the Wheel” booth where just about everyone walked away with free Ts, Shell gas cards, magazines, and a drone of other goodies. 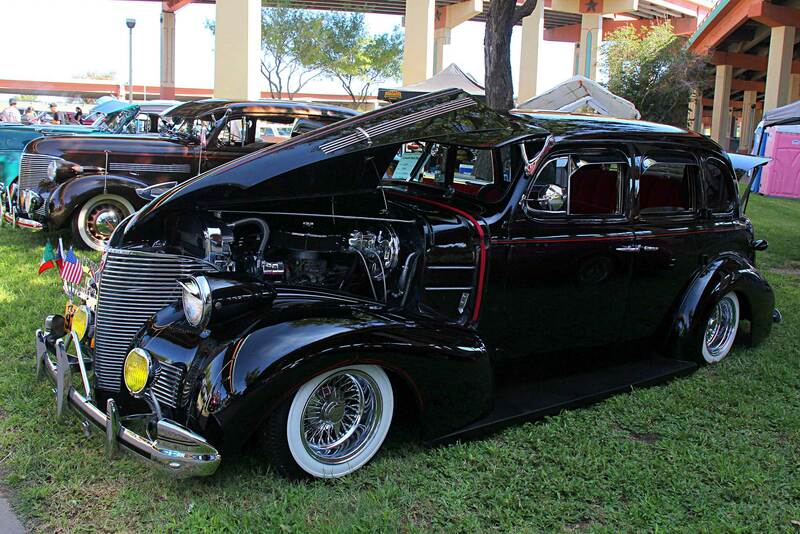 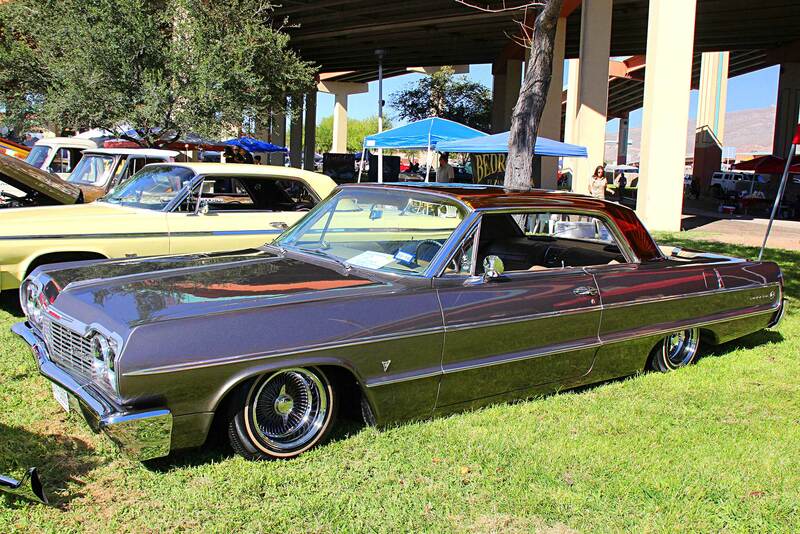 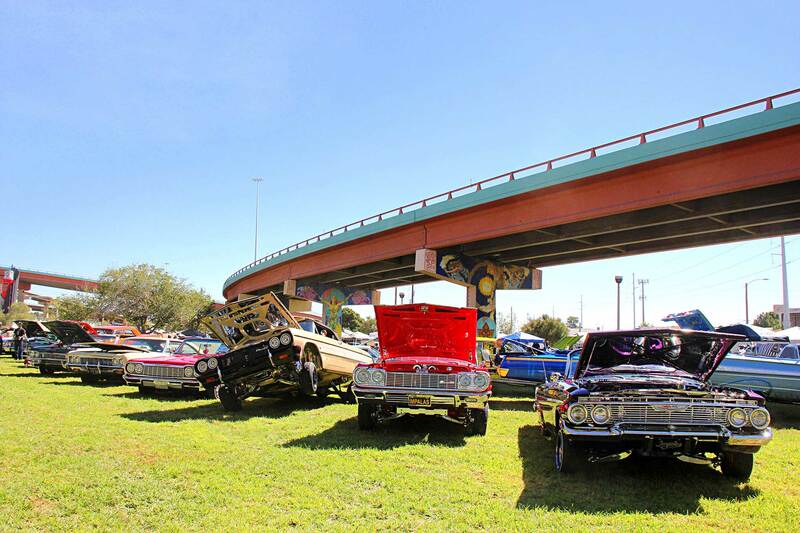 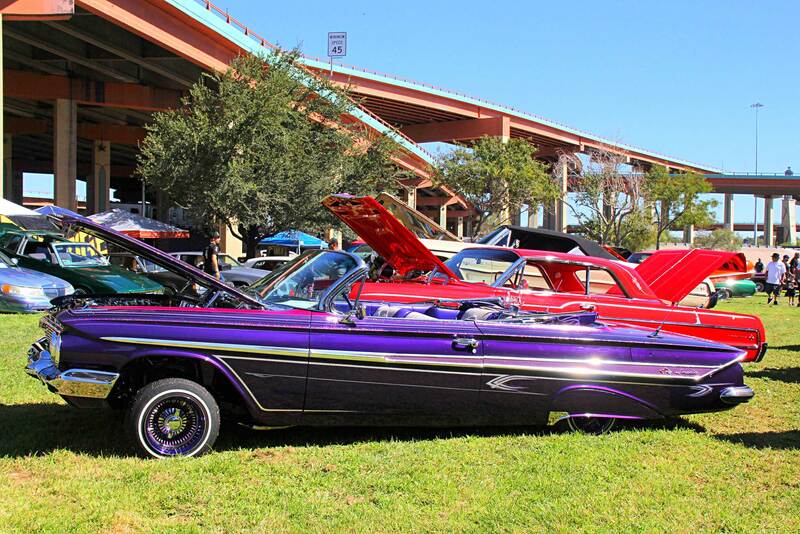 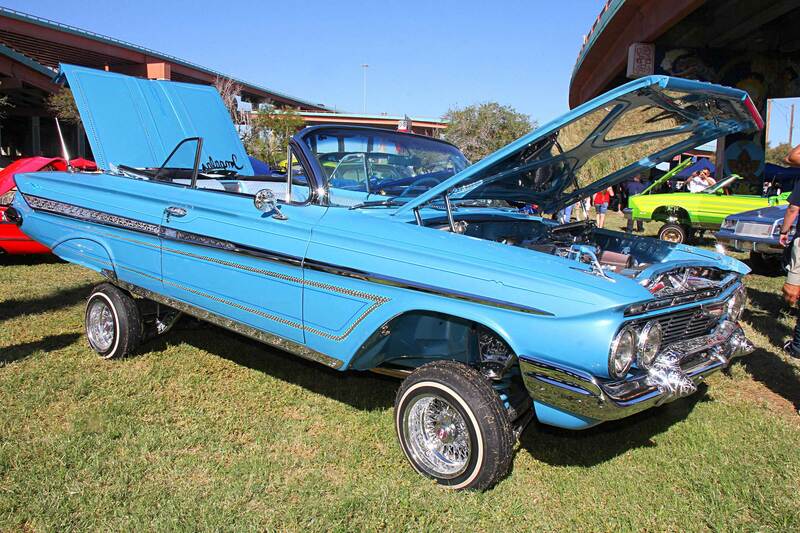 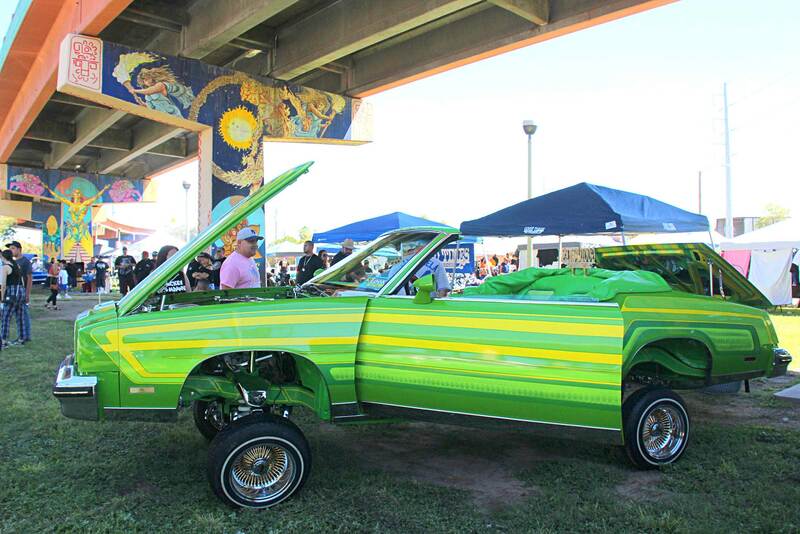 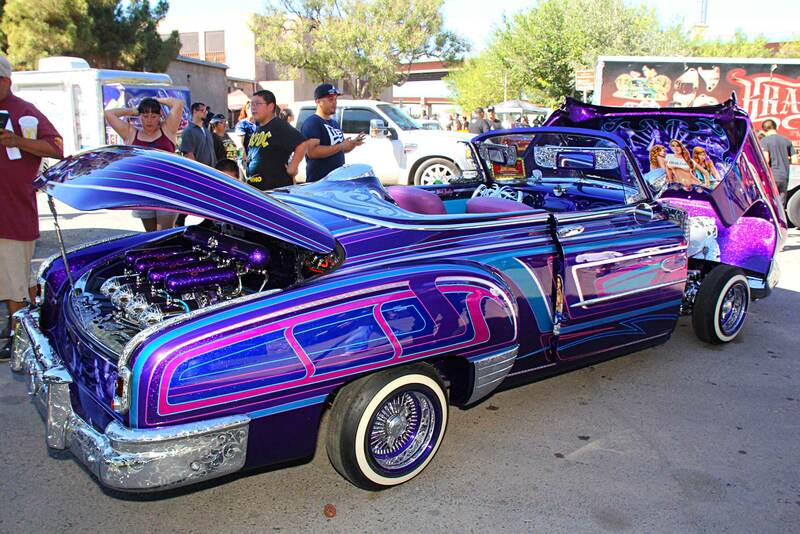 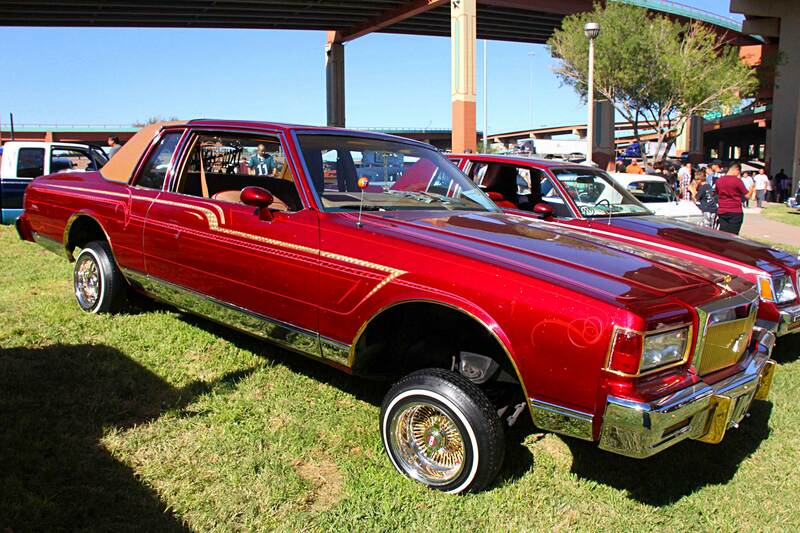 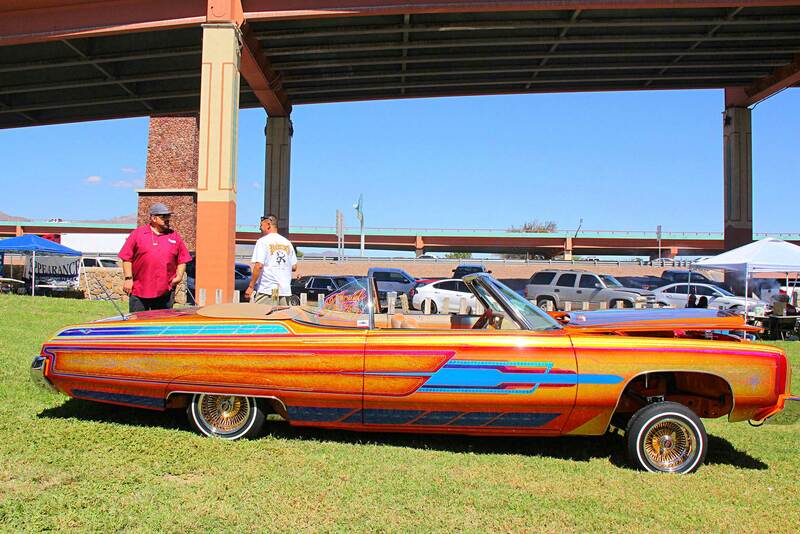 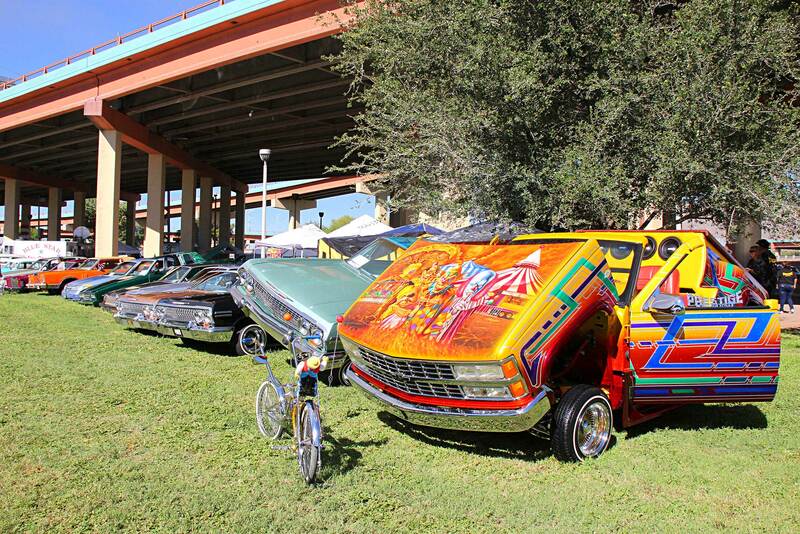 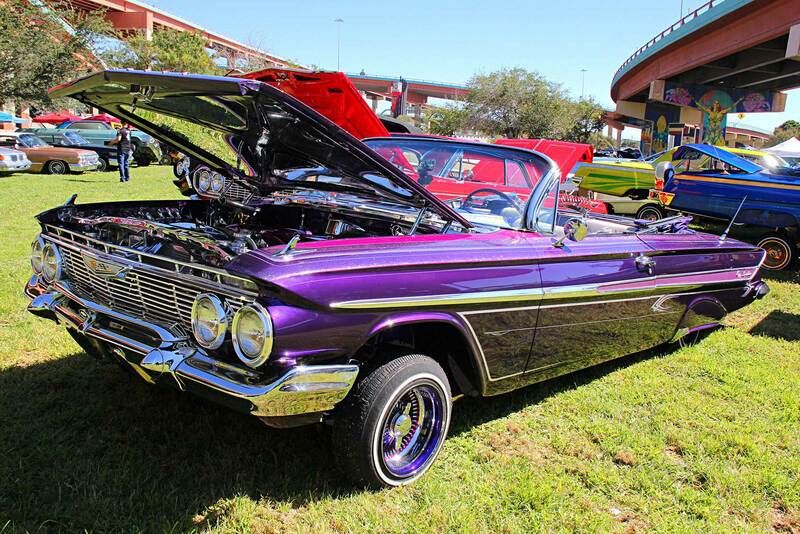 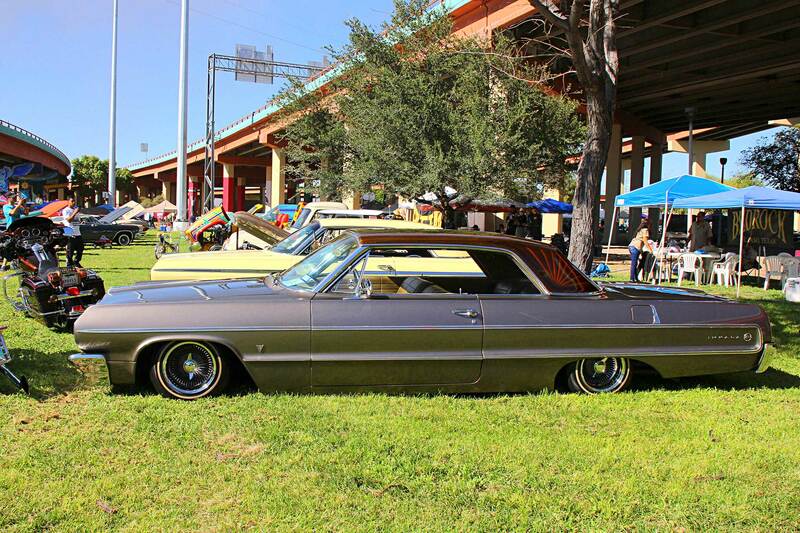 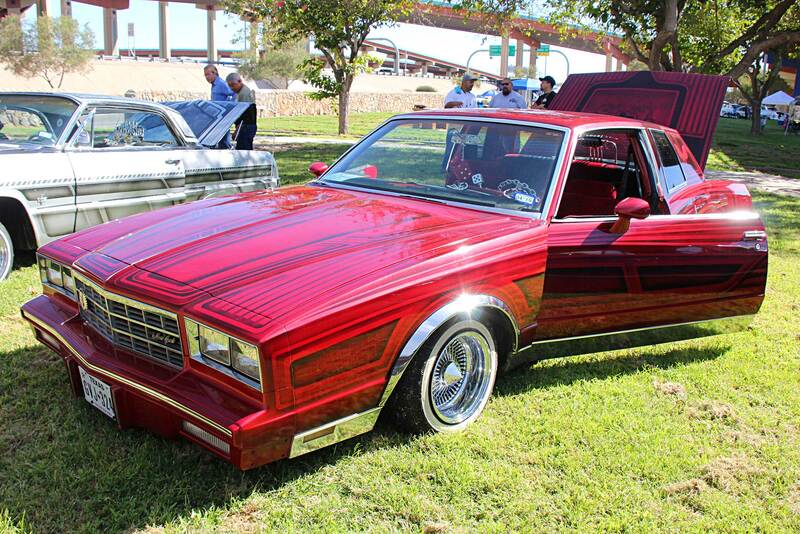 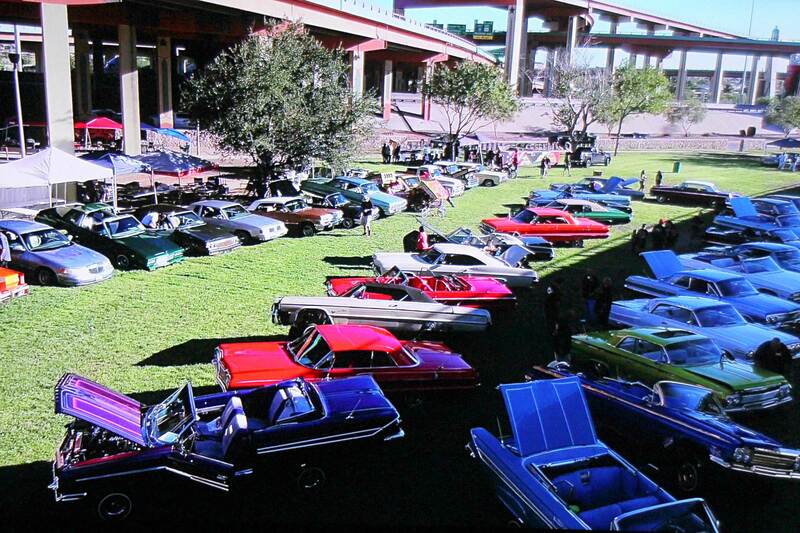 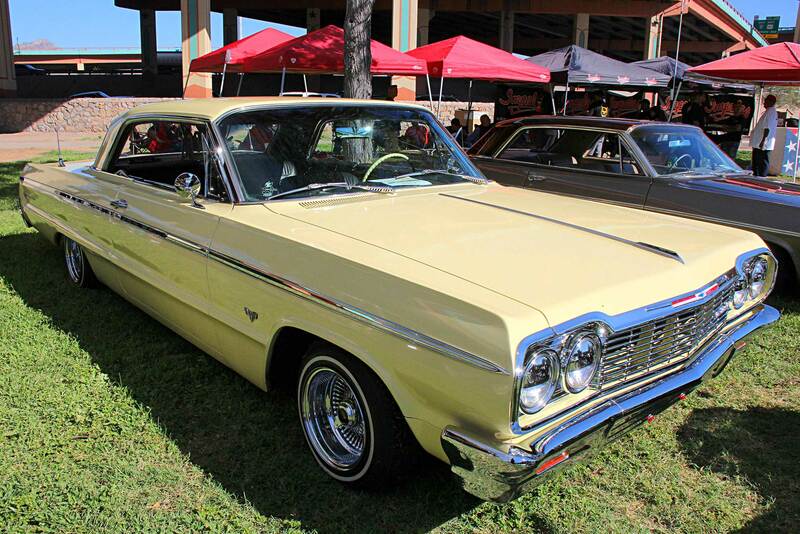 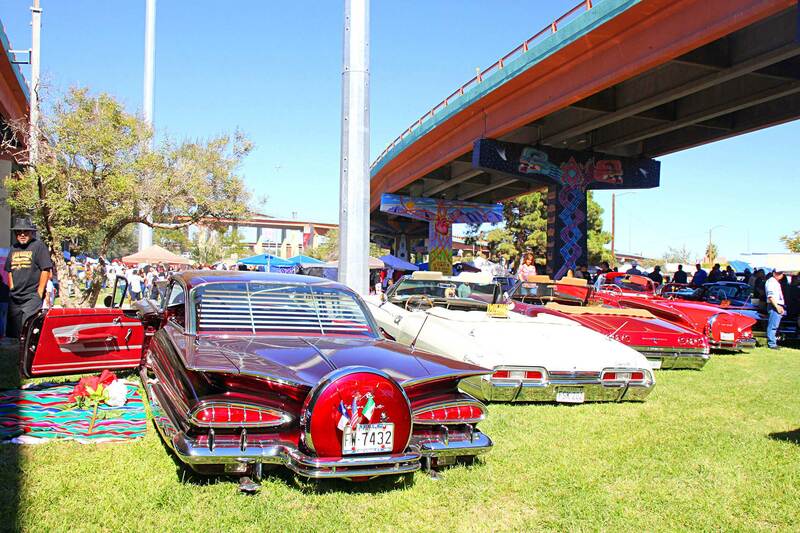 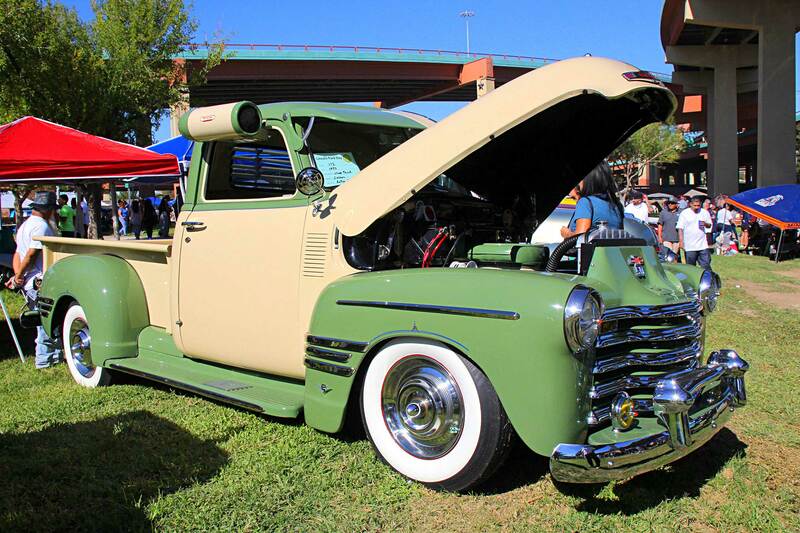 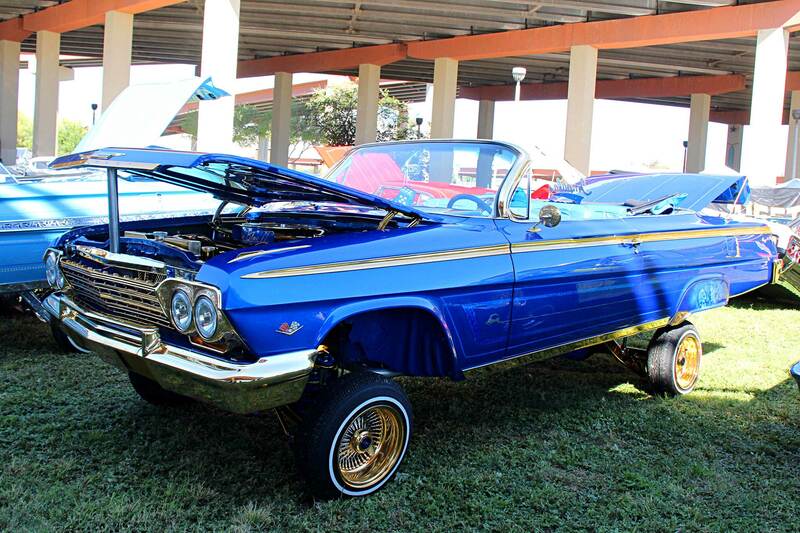 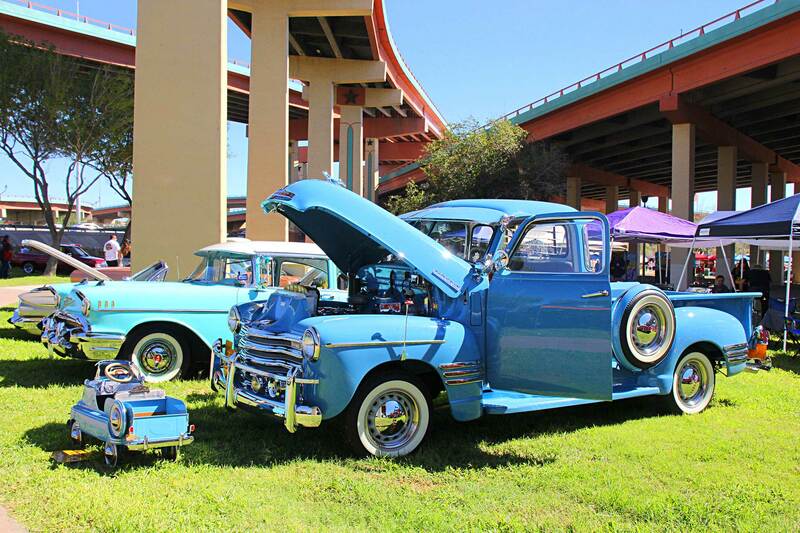 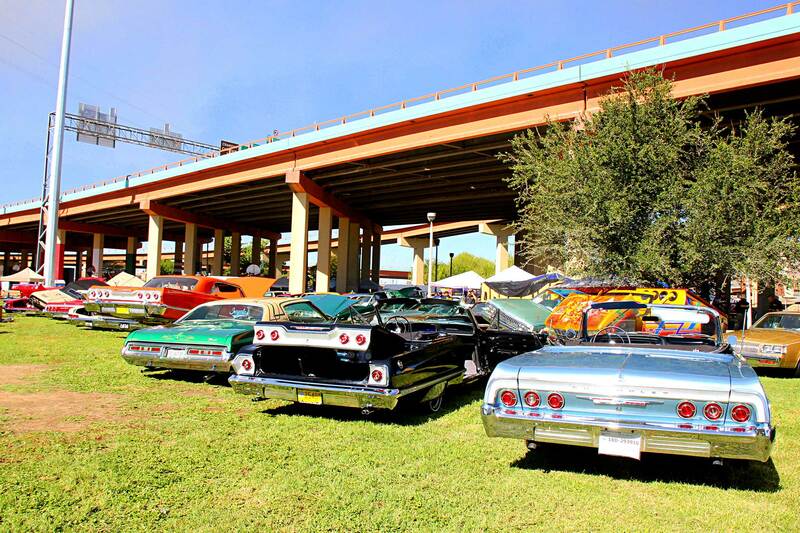 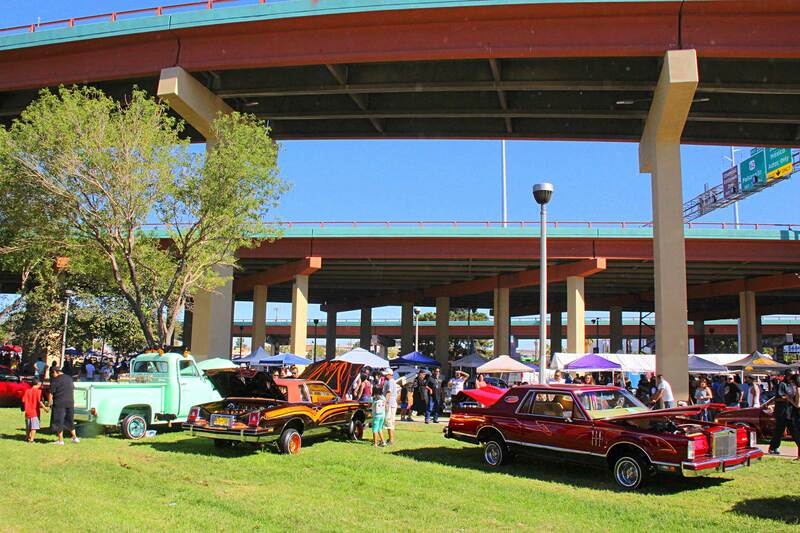 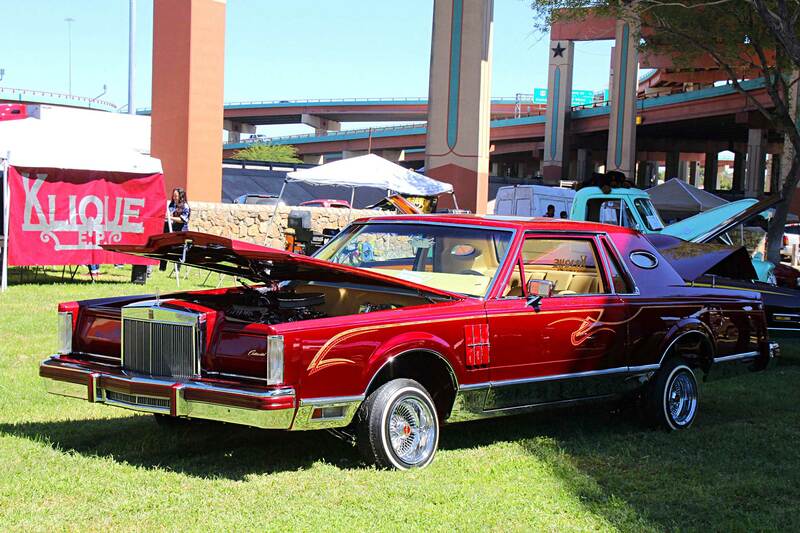 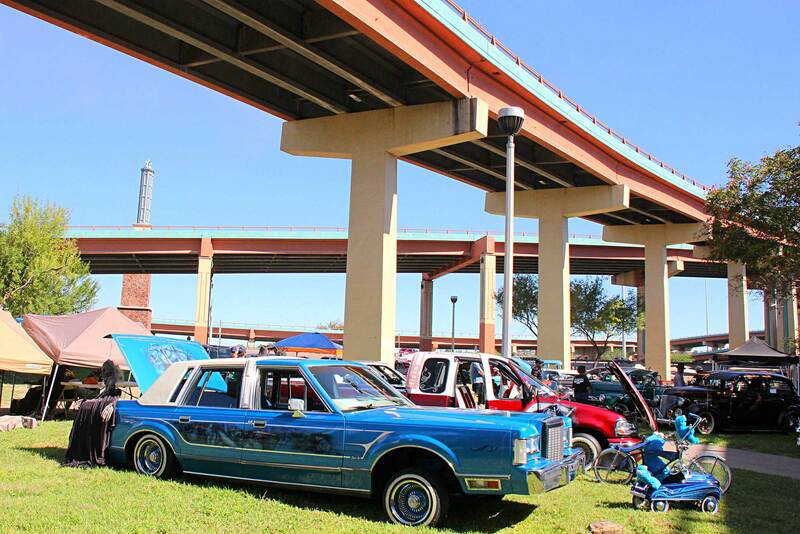 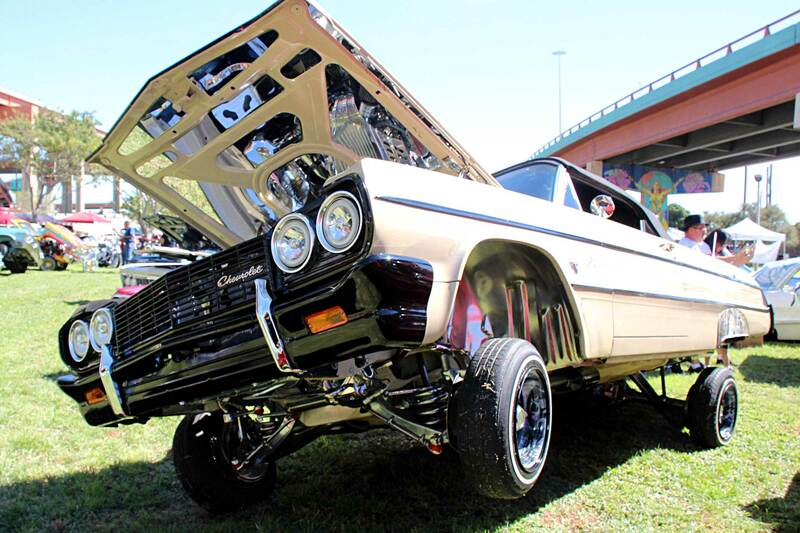 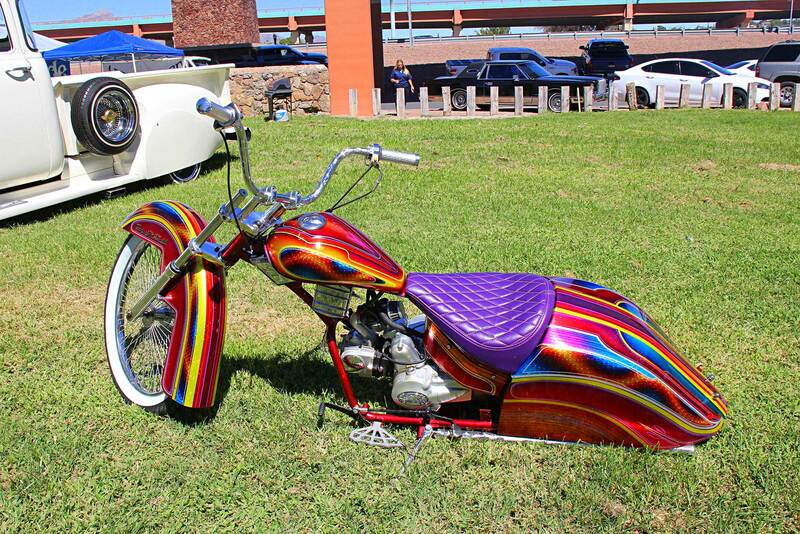 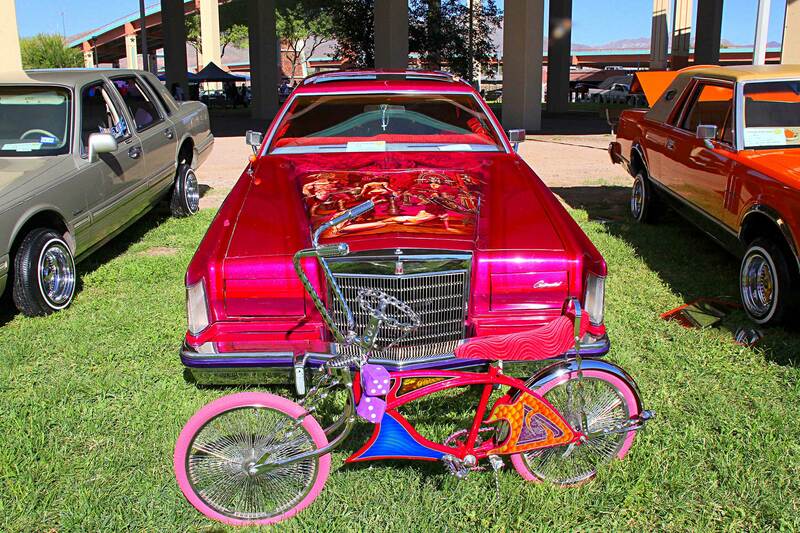 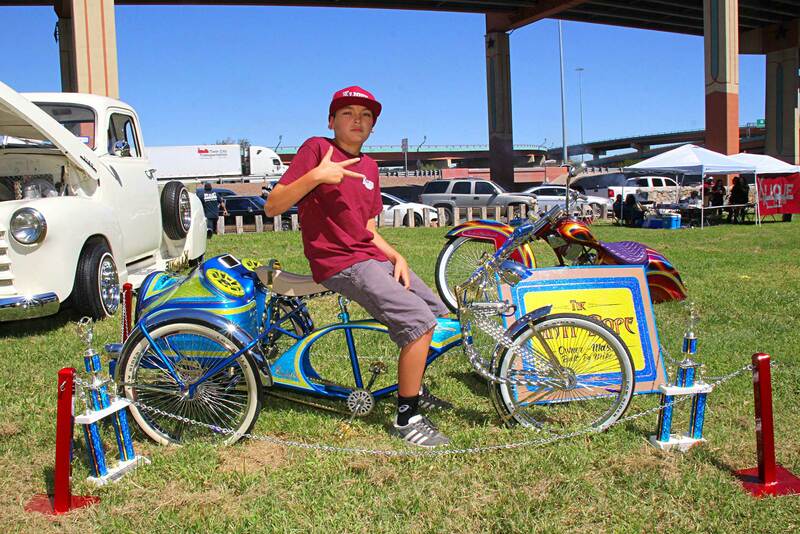 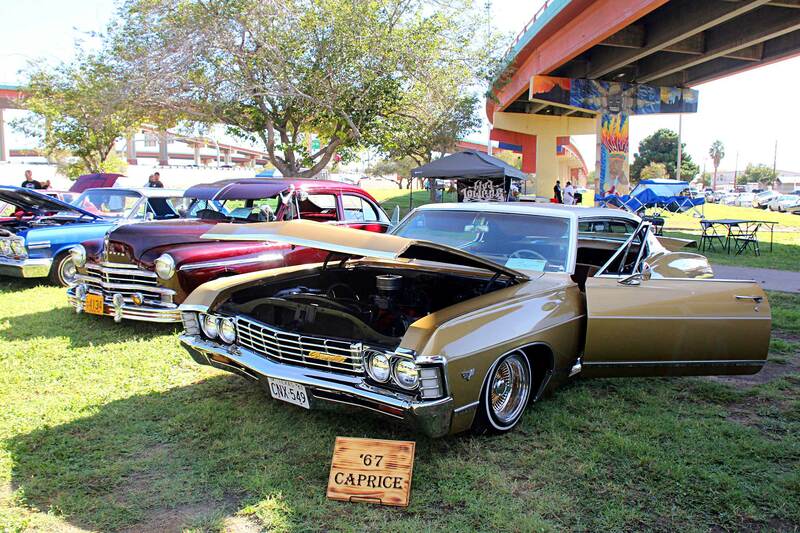 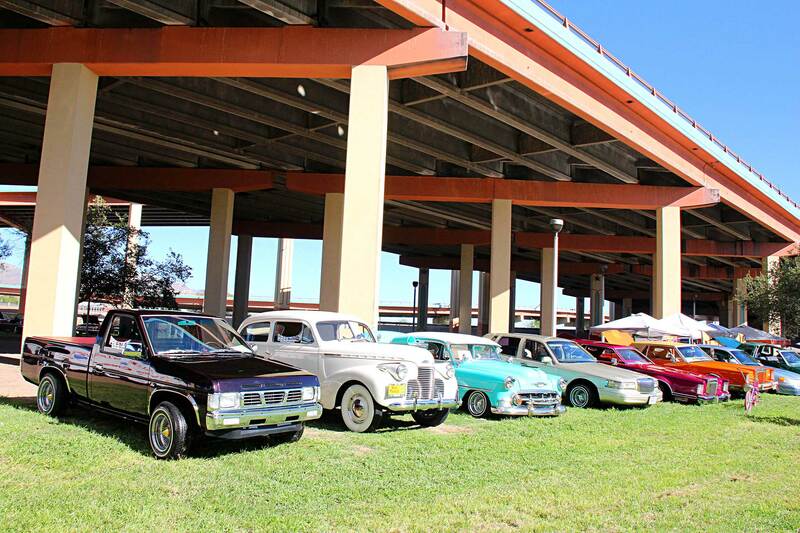 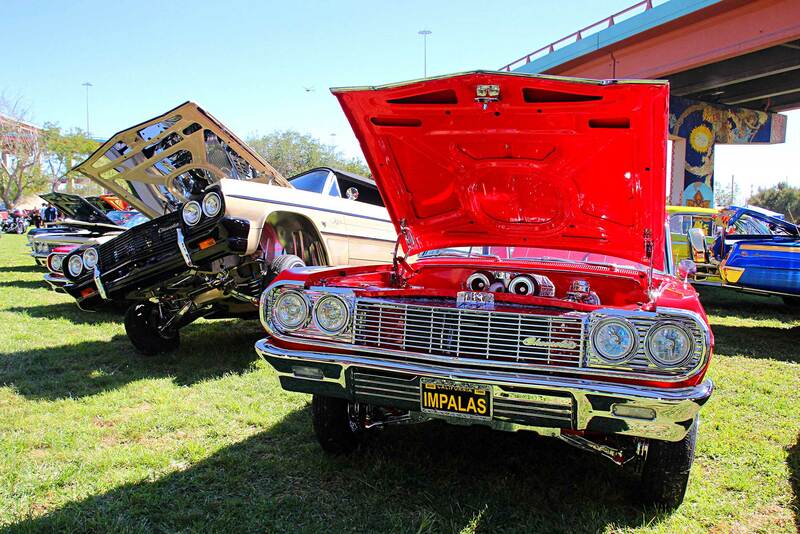 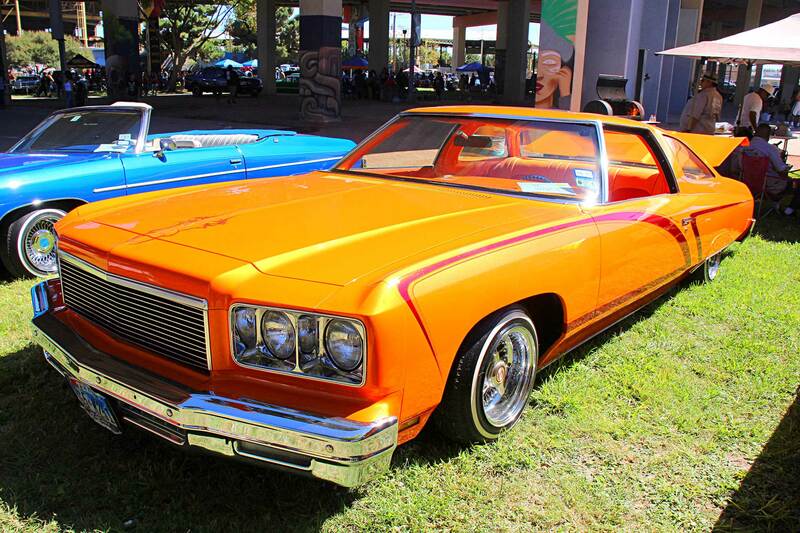 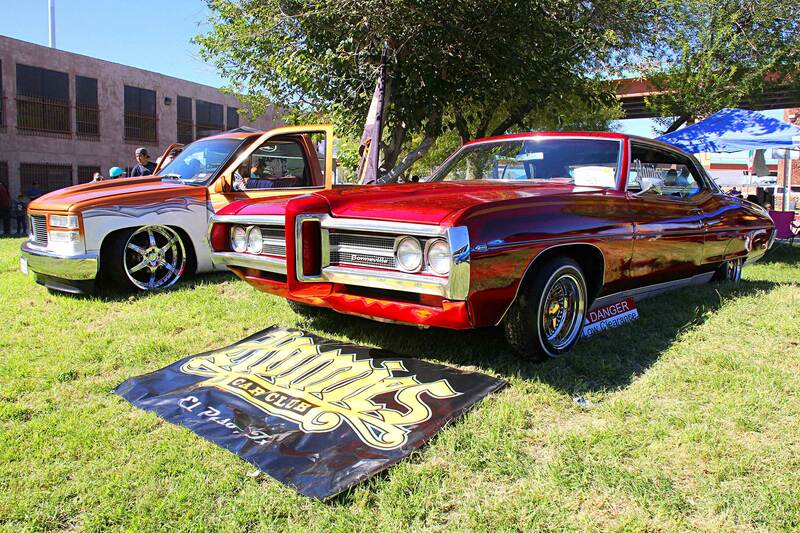 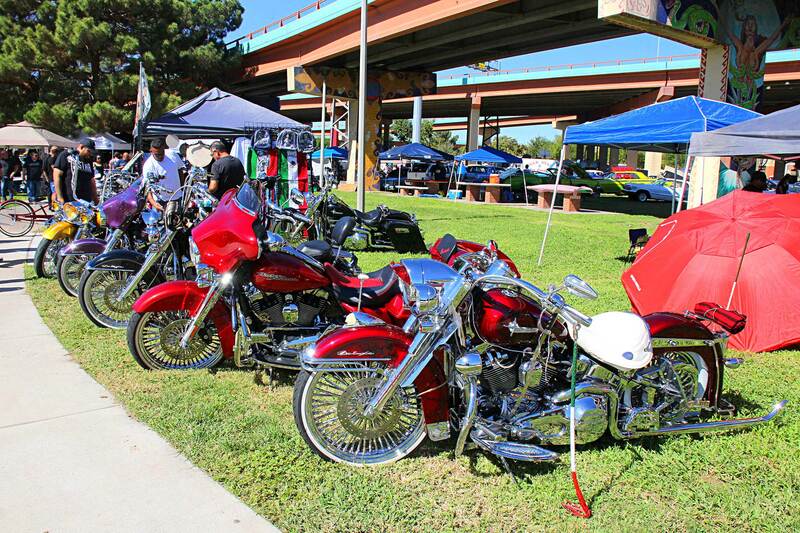 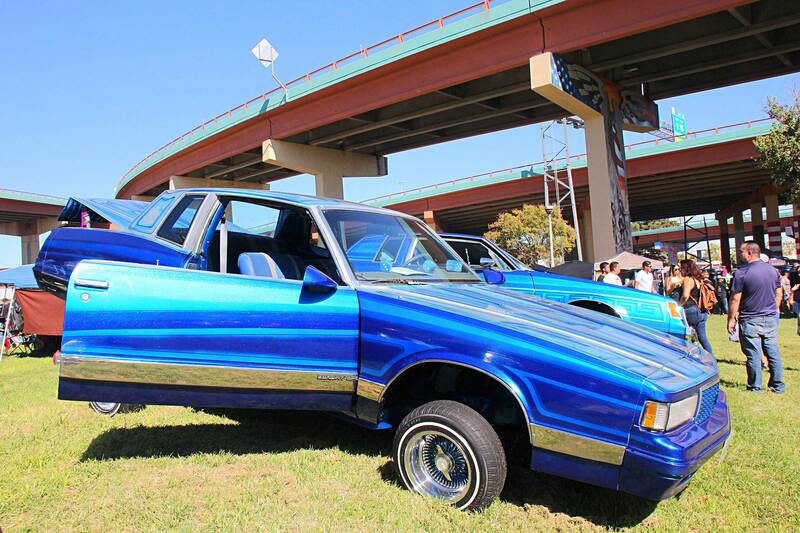 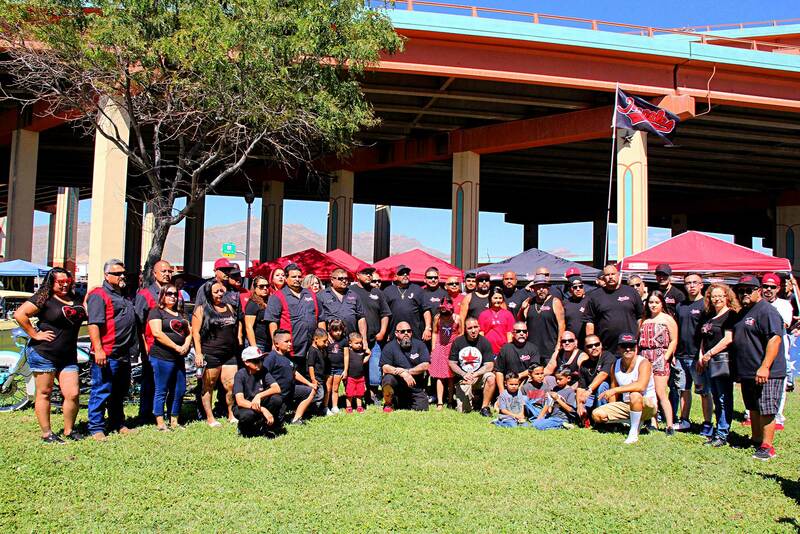 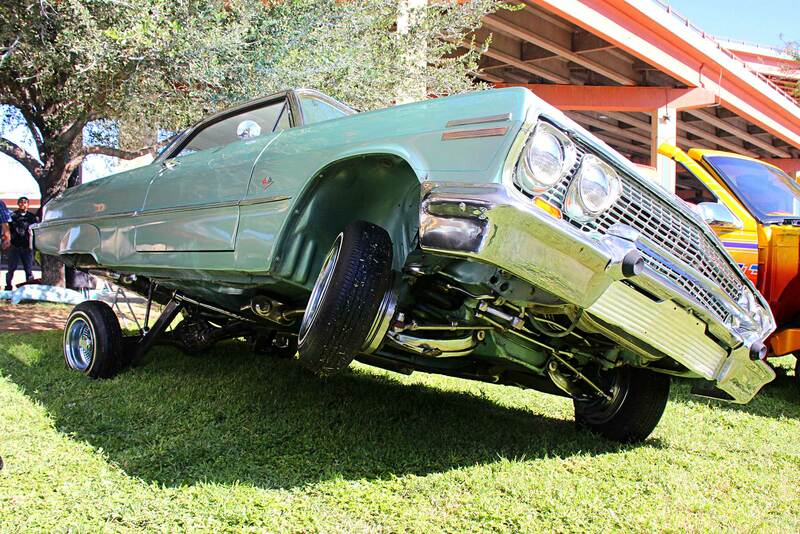 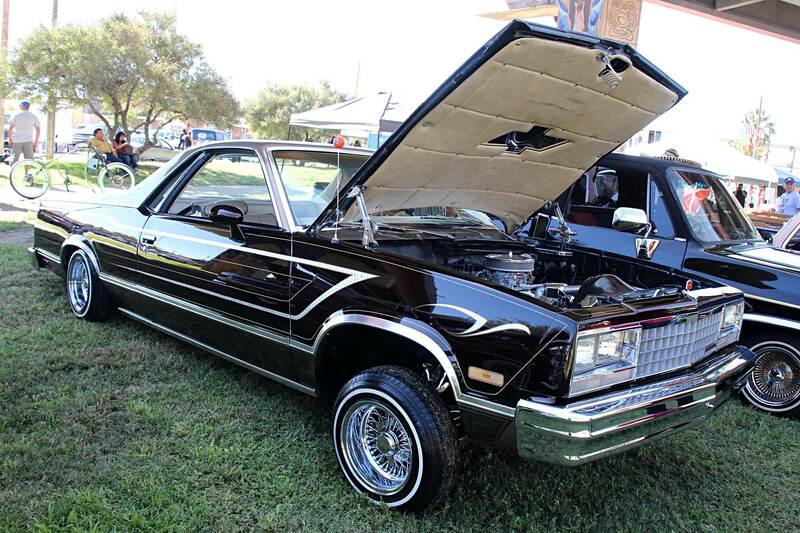 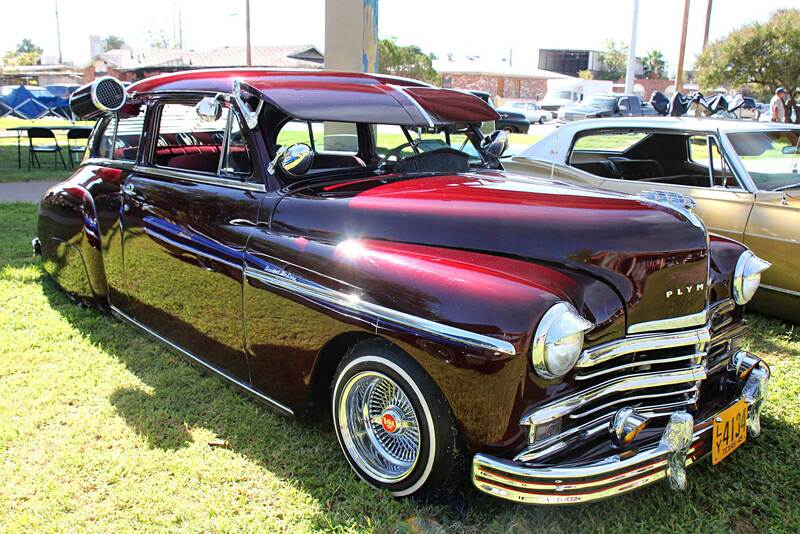 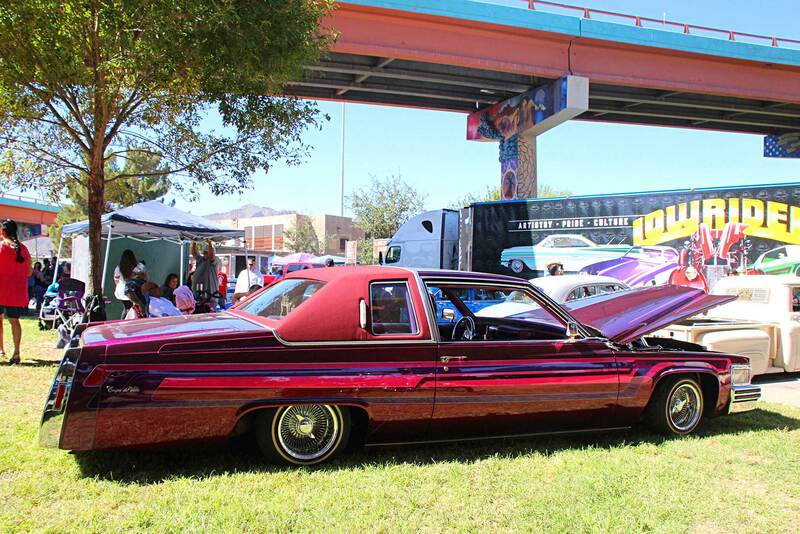 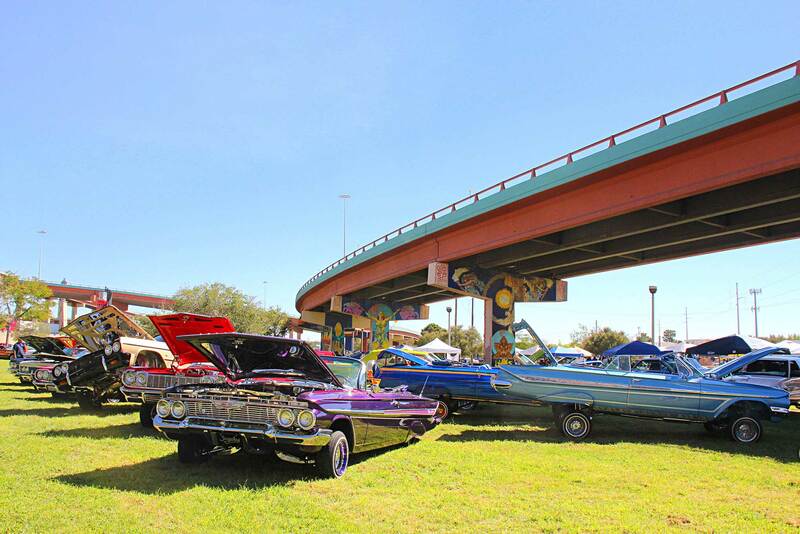 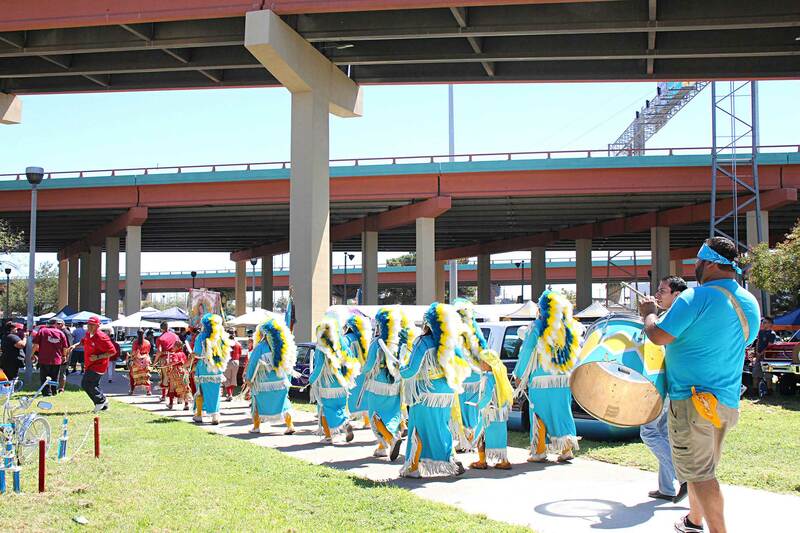 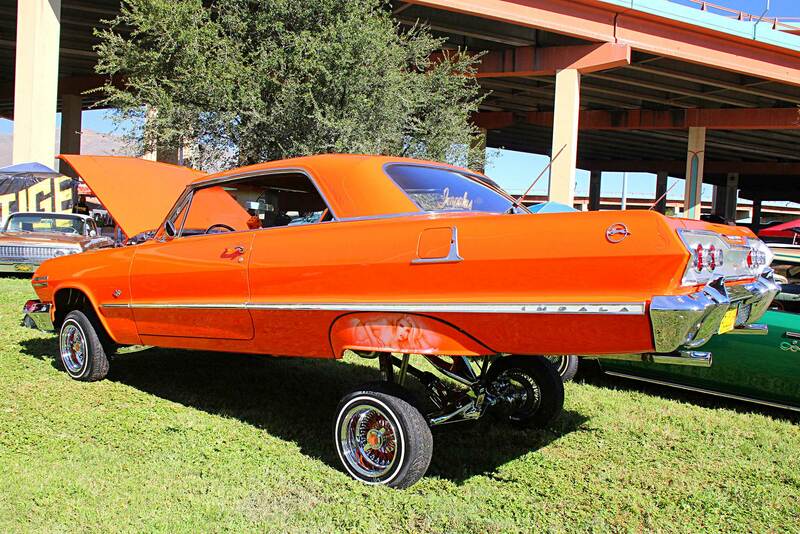 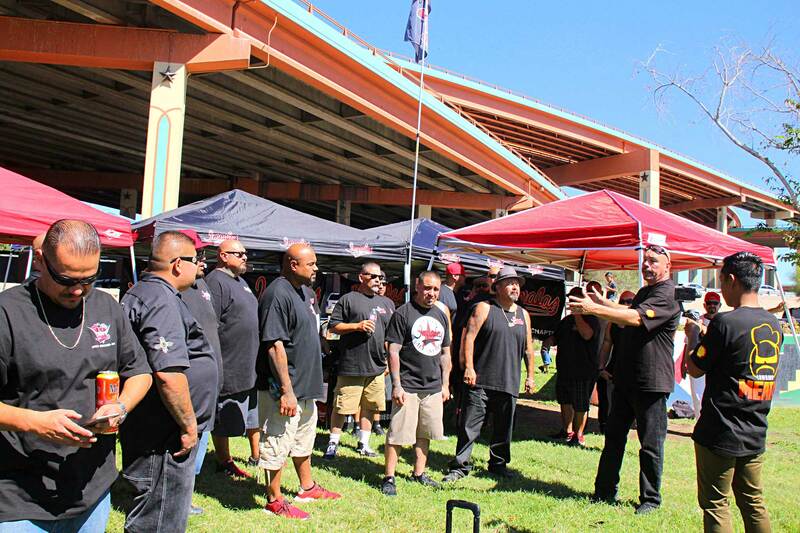 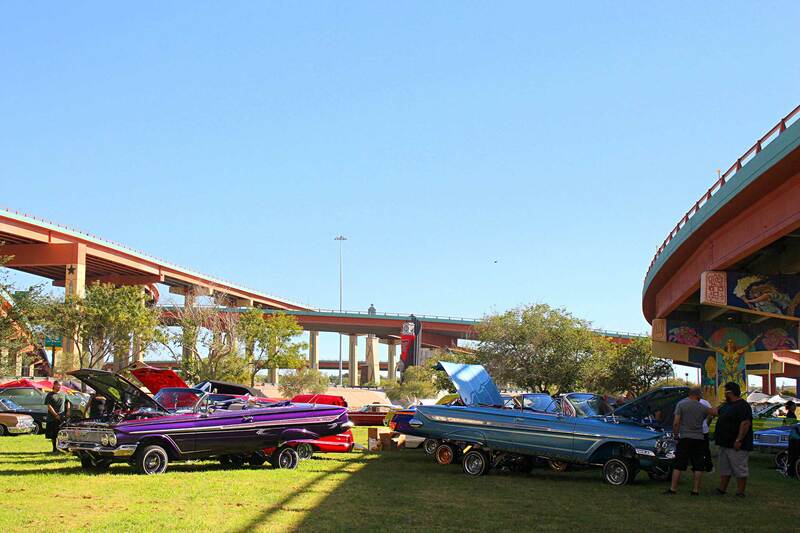 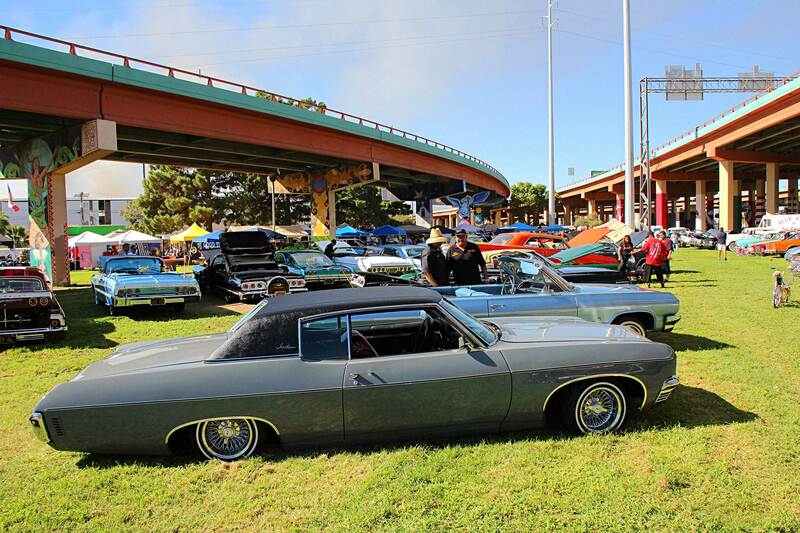 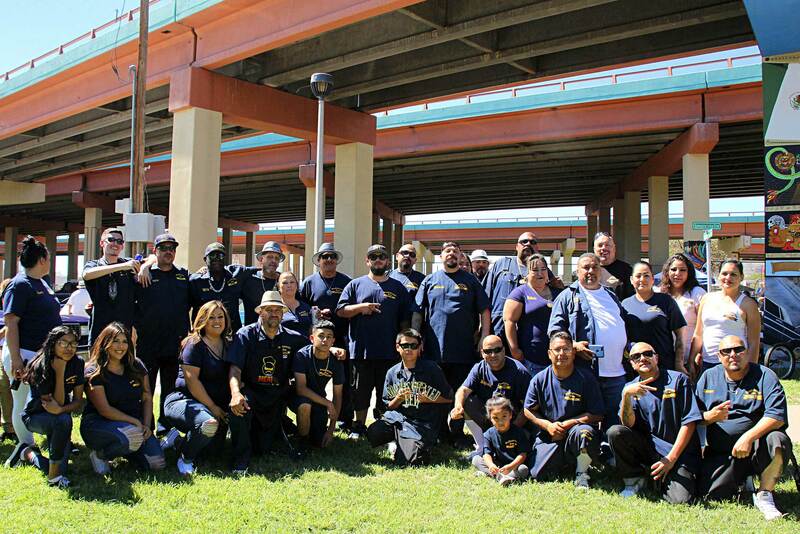 It’s a shindig of no compare and let’s just say that you have to be present to witness, experience, and feel what we believe is the sincerest part of lowrider culture in this part of Texas. 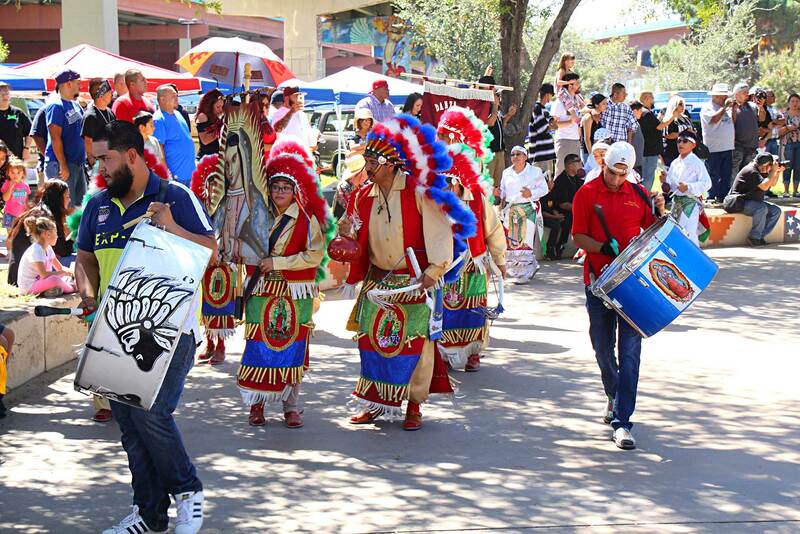 To help fight achy feet and hyperextended guts, our minds were distracted by Folklorico performances while several groups of Matachine dancers paraded through the park. 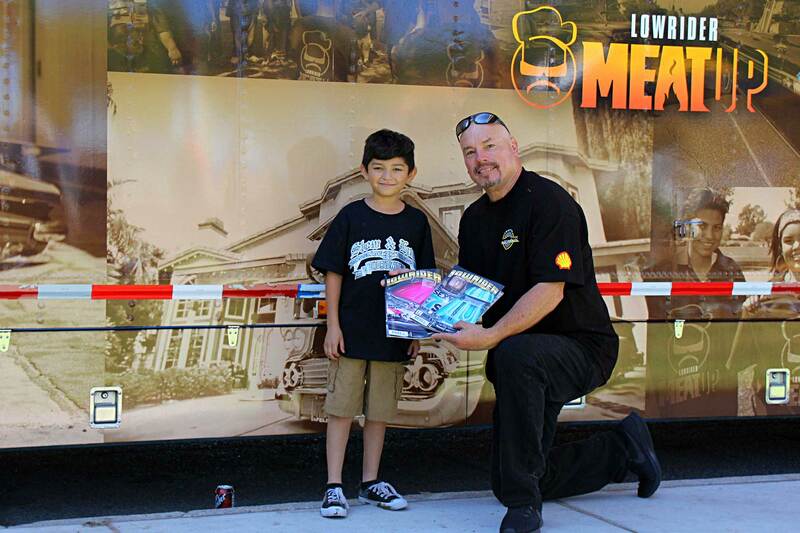 As always, admission to Meat Up events are free, with car registration fees going directly back to the parks to fund future events or park improvements, such as murals. 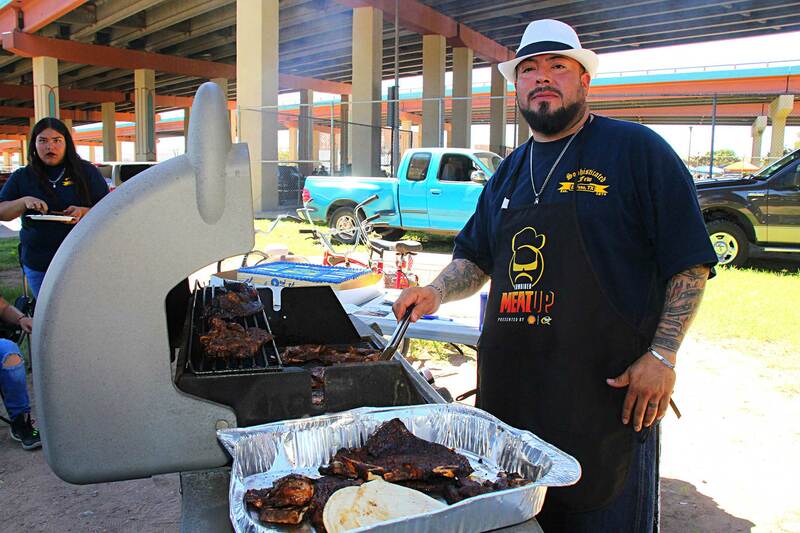 So mark your calendars and reserve the dates because the Meat Up series is something you just don’t want to miss. 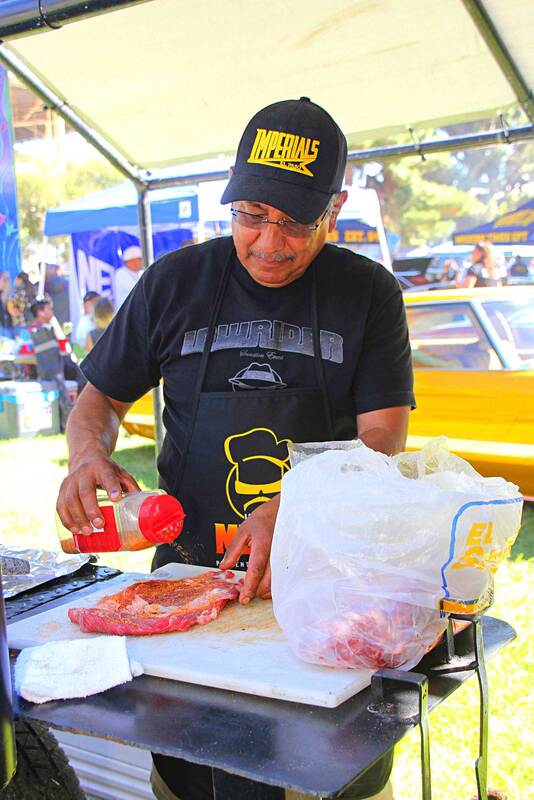 Till next time, keep your batteries charged and your family recipes in a safe place. 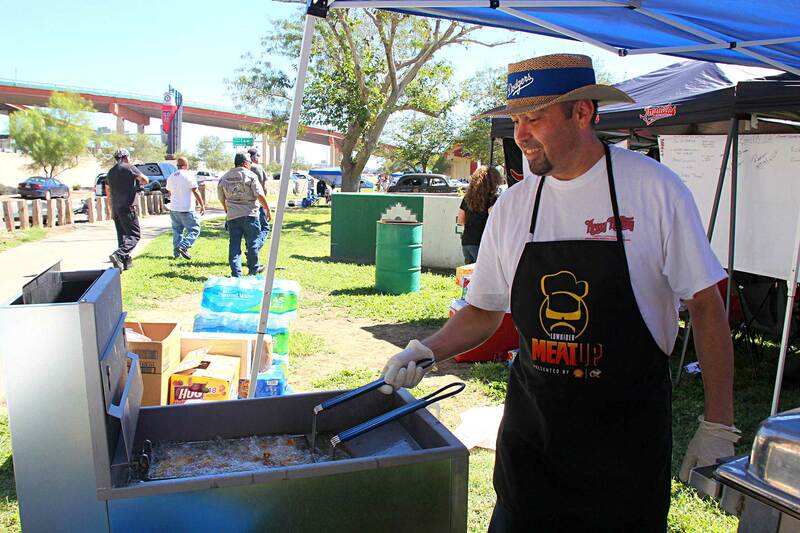 We’ll see you all at the next Meat Up!